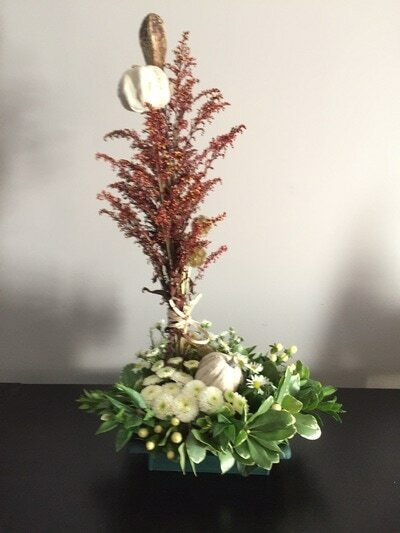 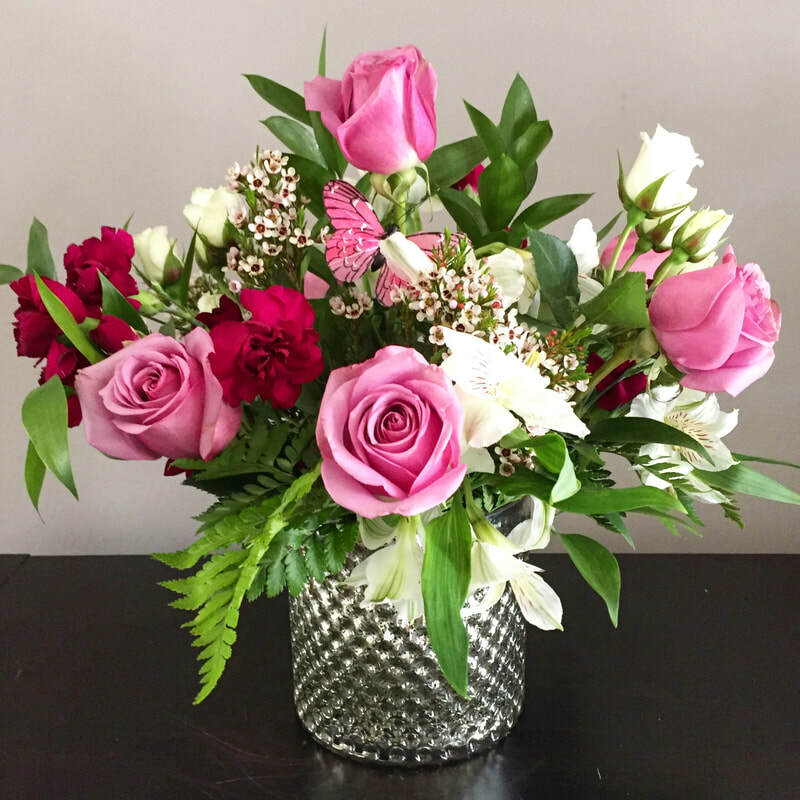 From event decorations, personal flowers, arrangements through the seasons and holidays to different types of floral designs, look below and be inspired. 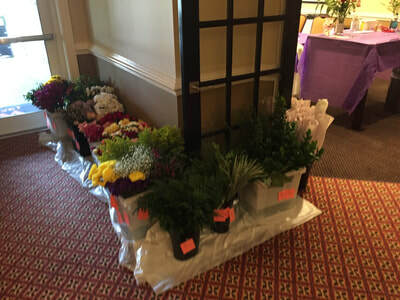 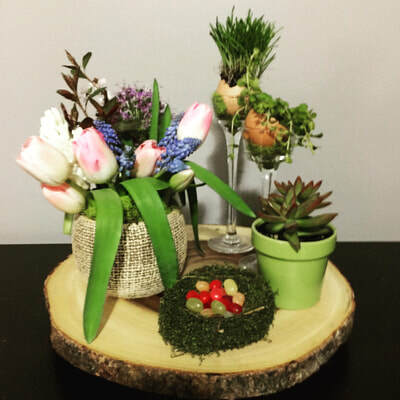 All our work is custom to your need but the captions you'll see as you move over the pictures provide information you can pass on to us when indicating what you envision for your flower need. Hint: The beginning of each caption indicates size and type. 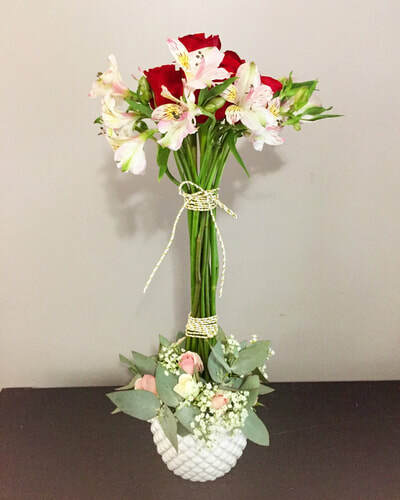 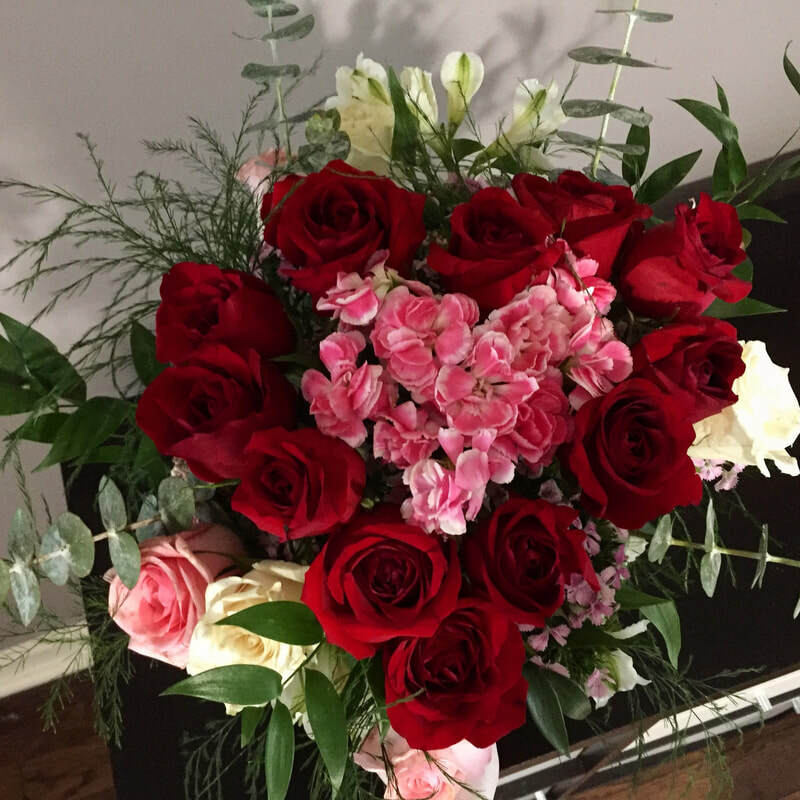 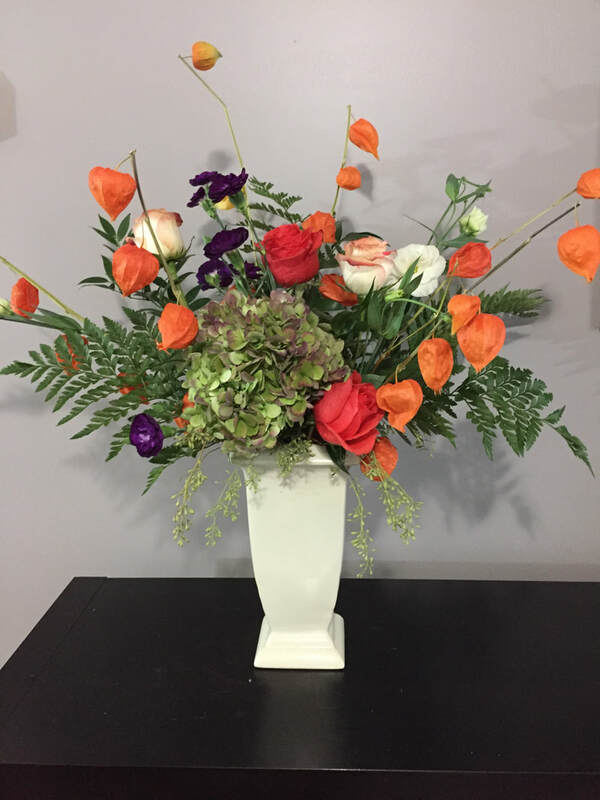 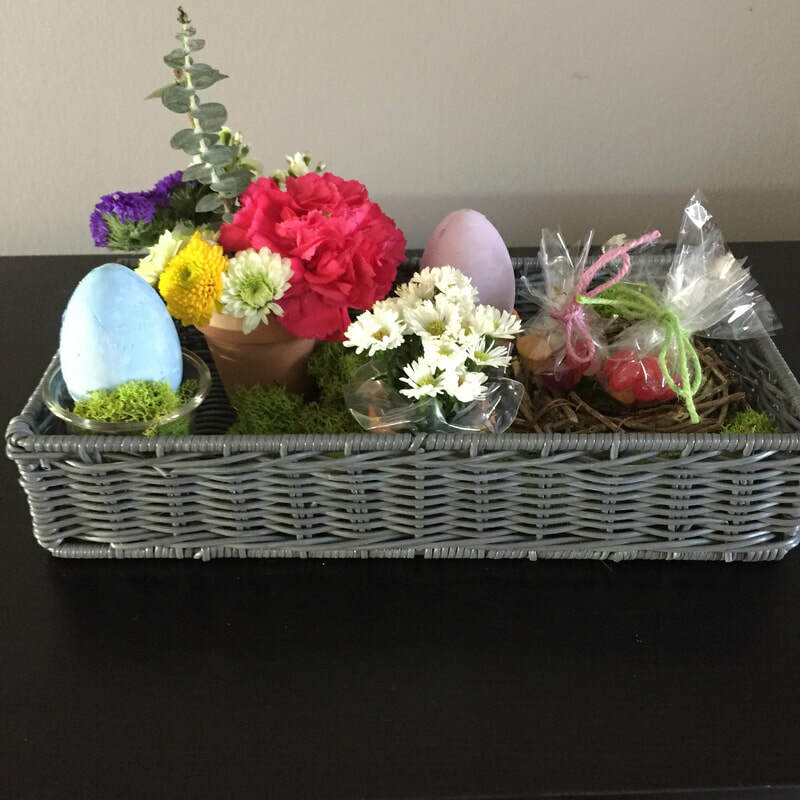 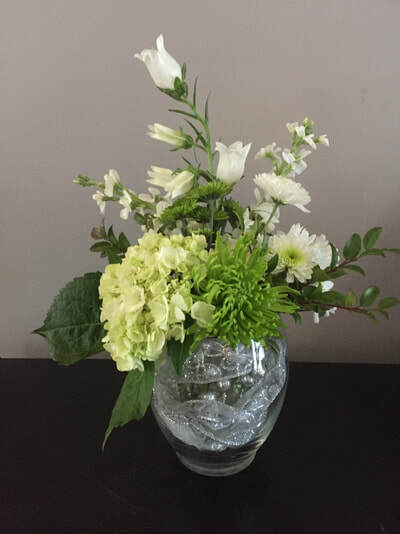 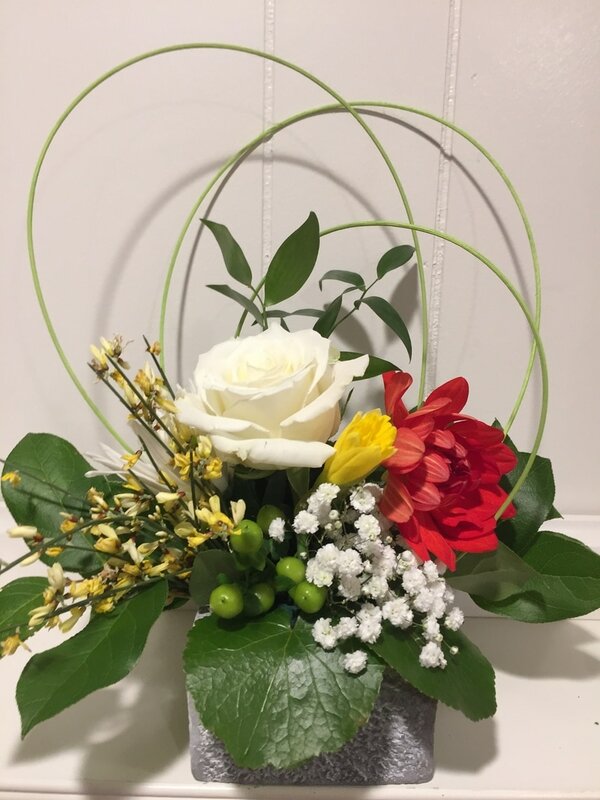 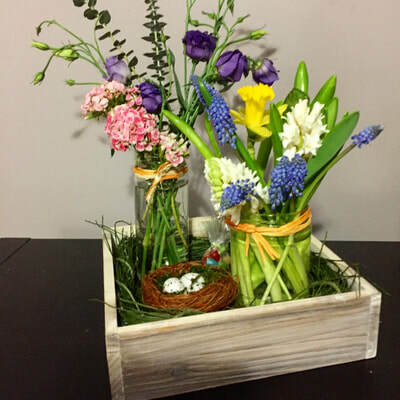 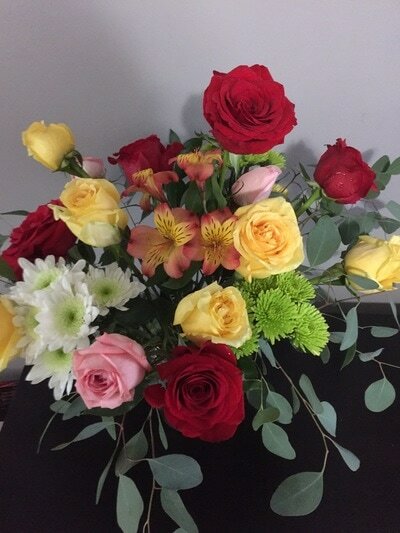 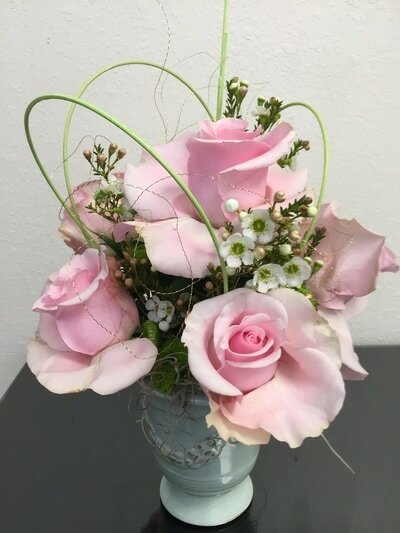 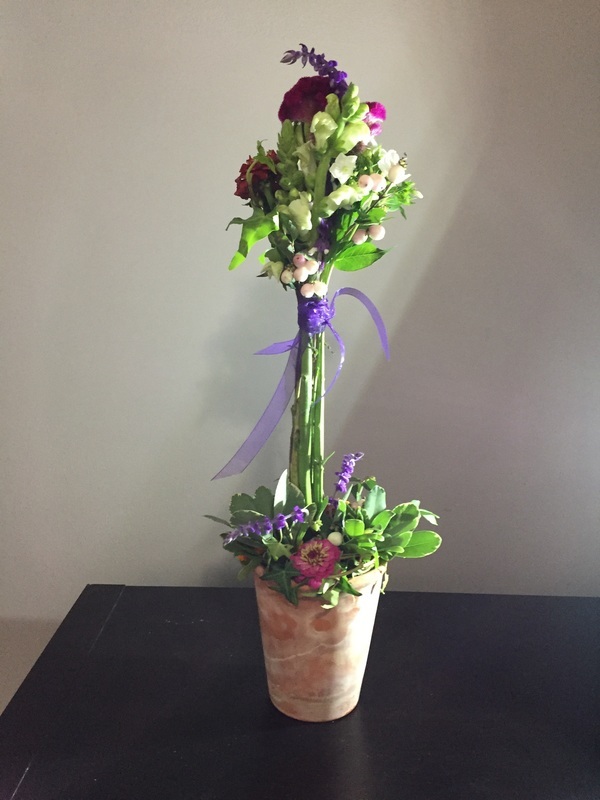 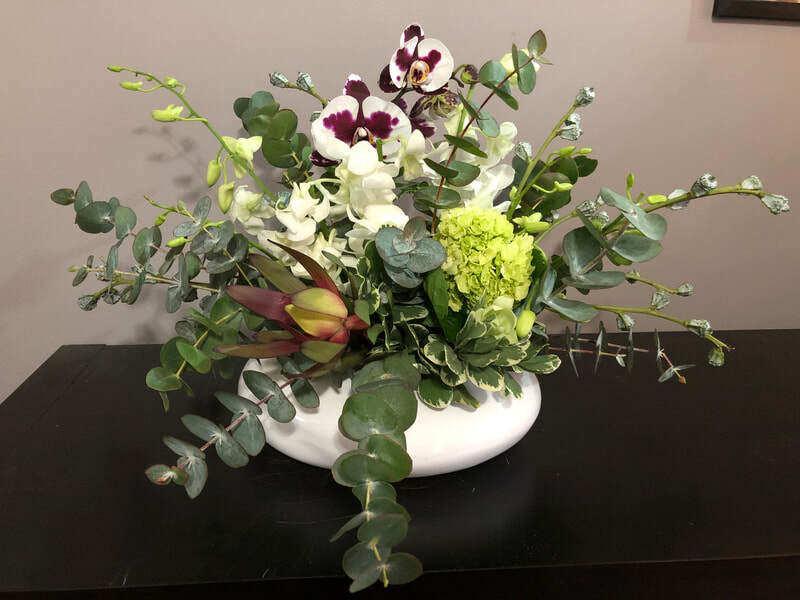 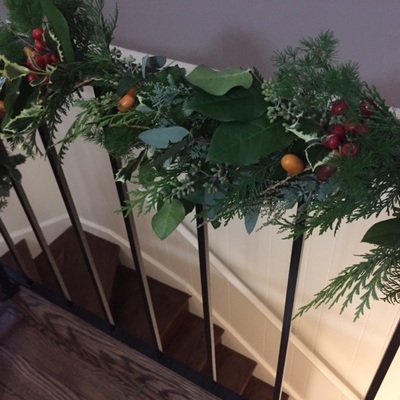 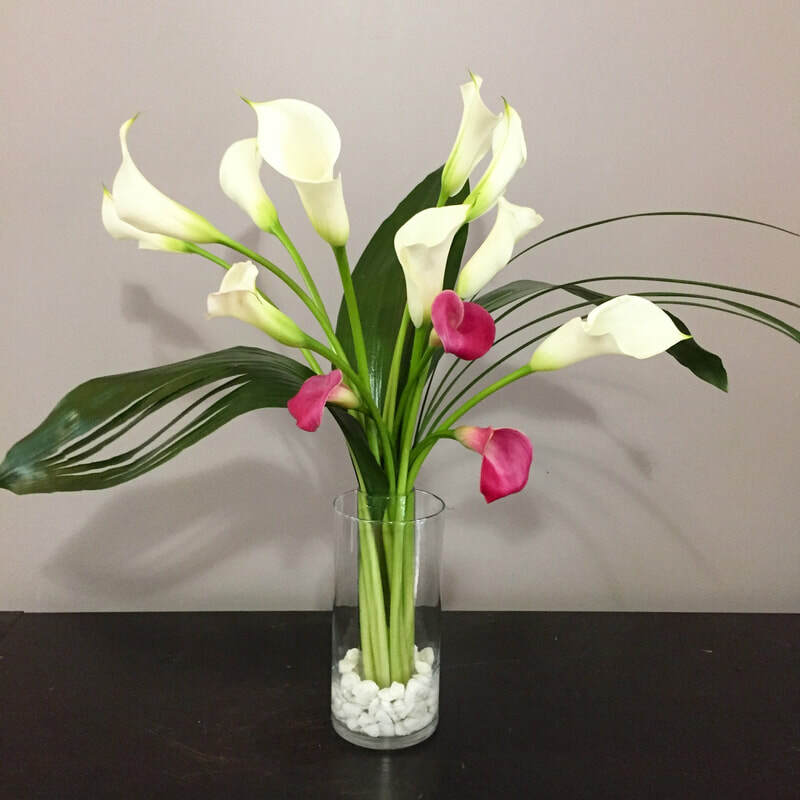 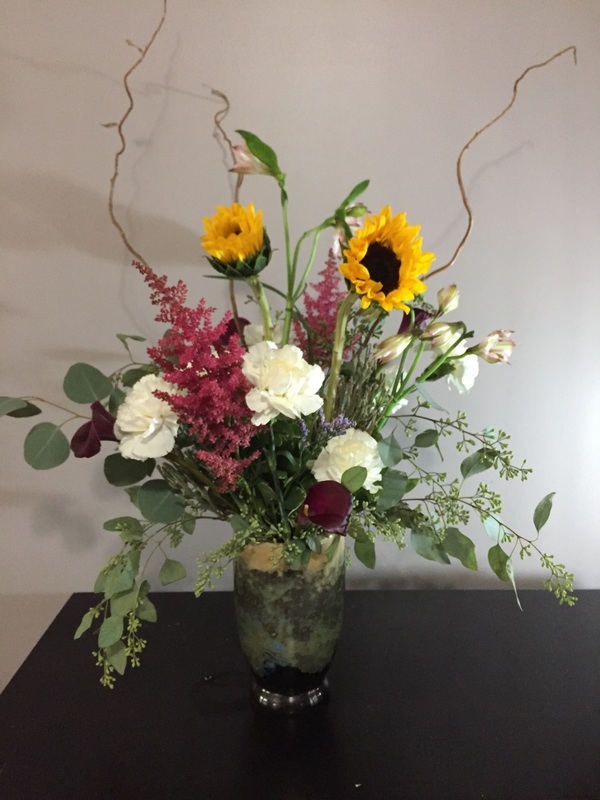 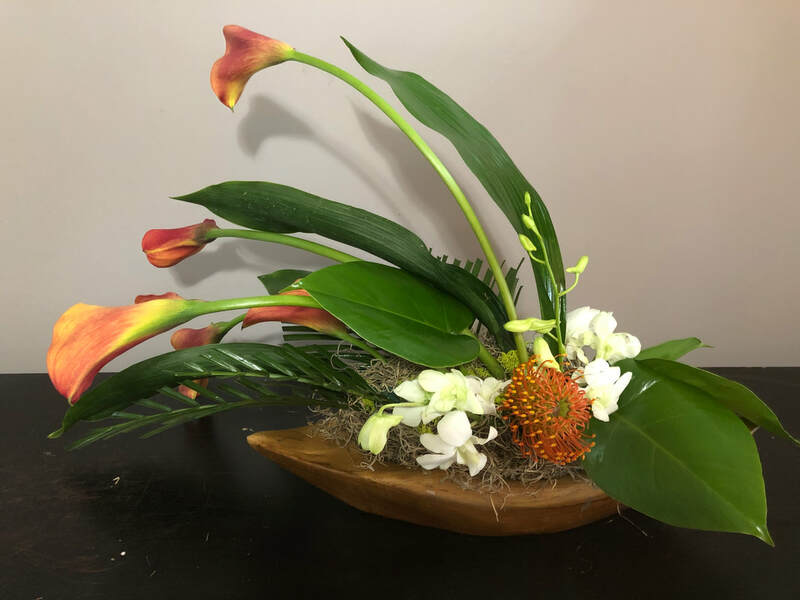 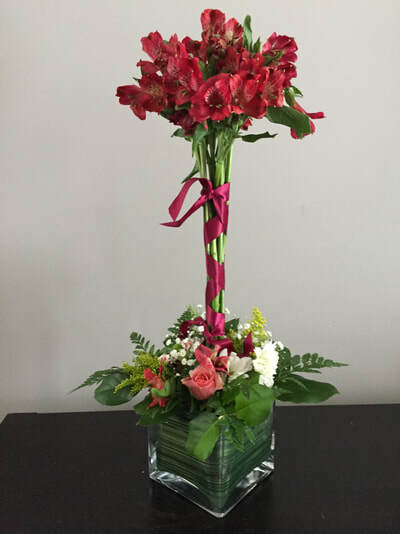 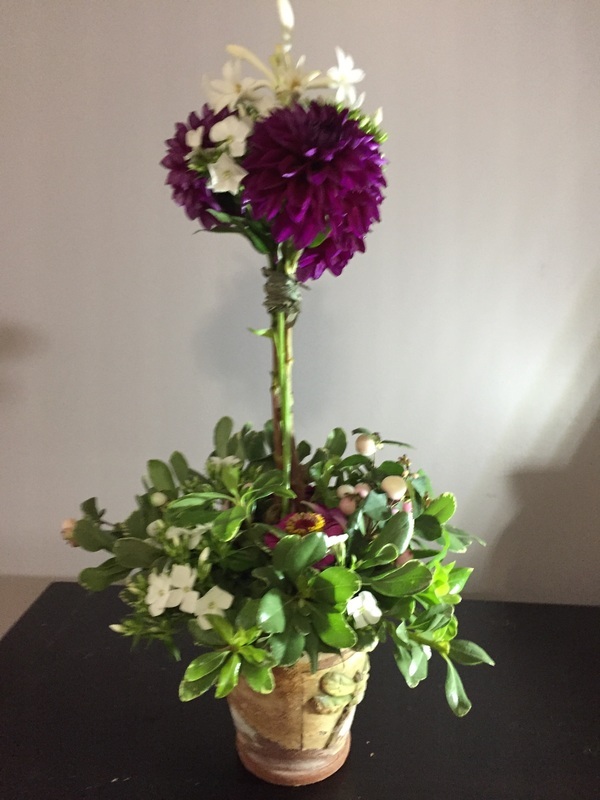 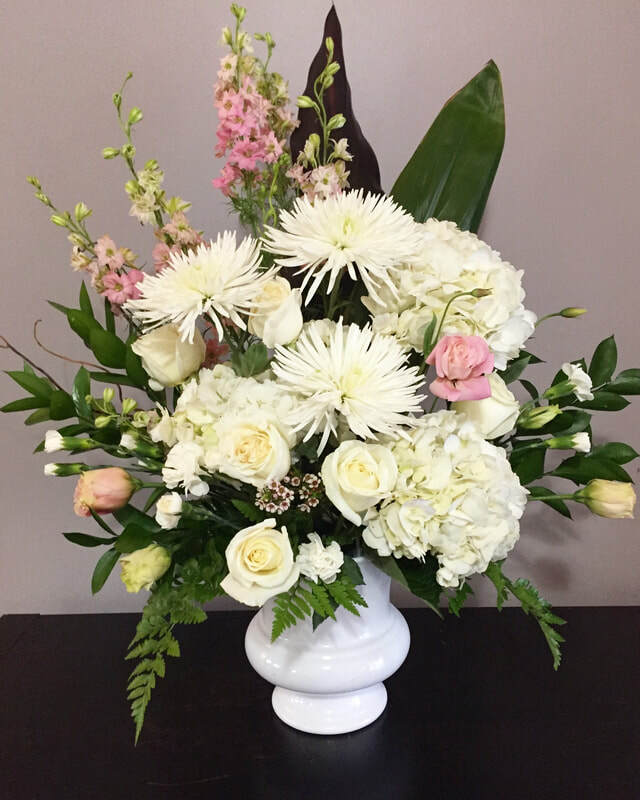 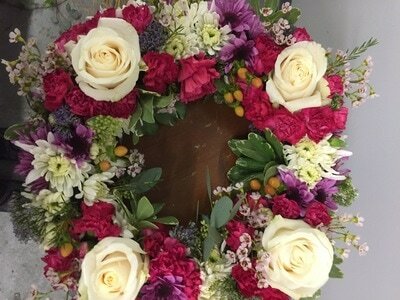 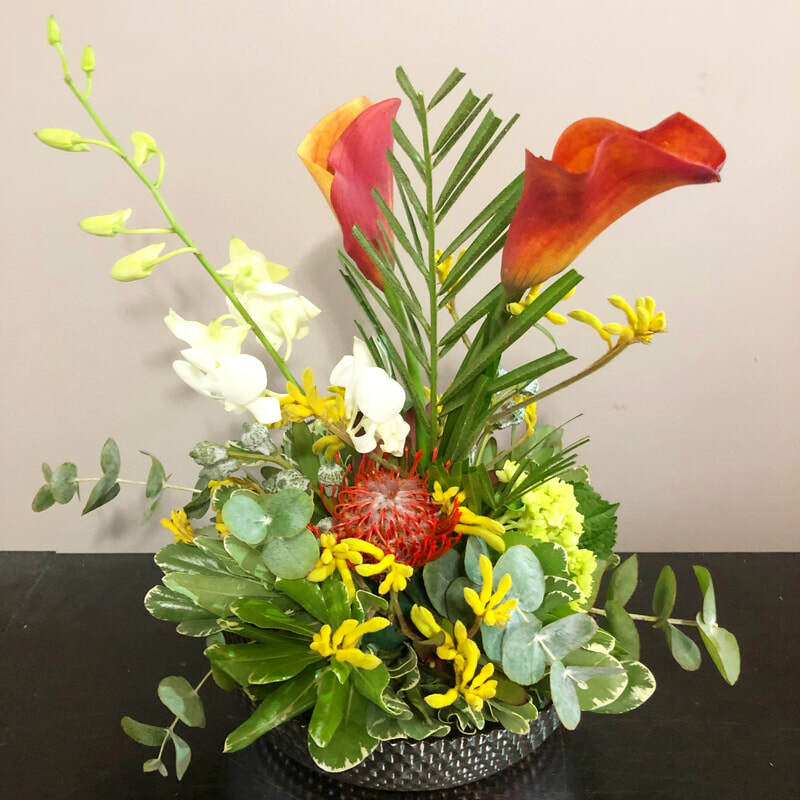 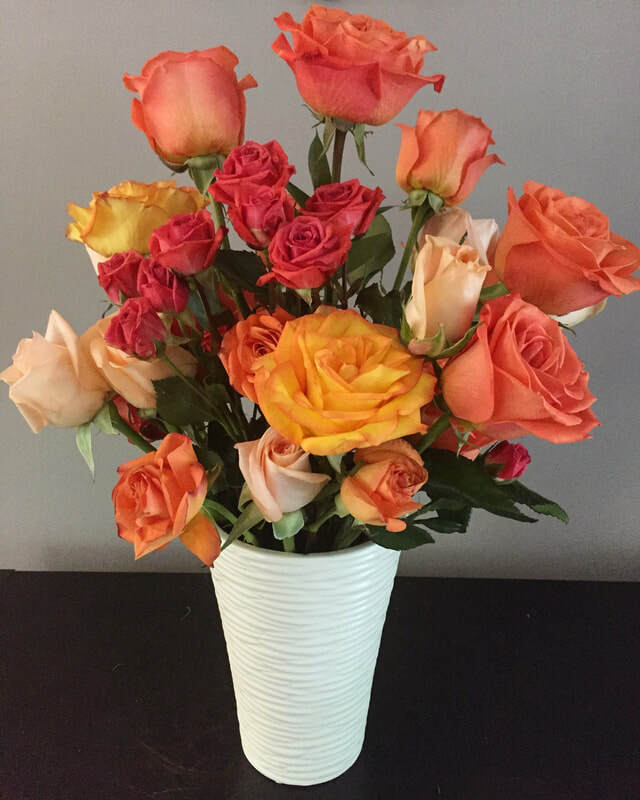 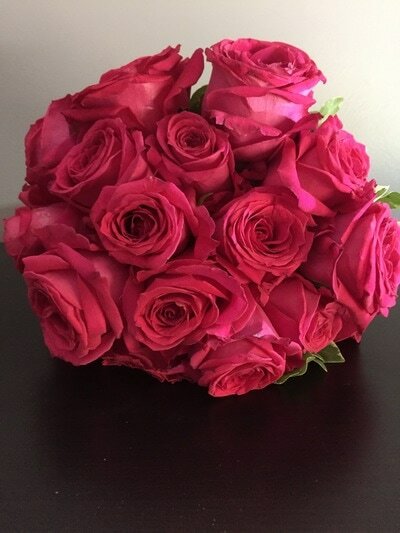 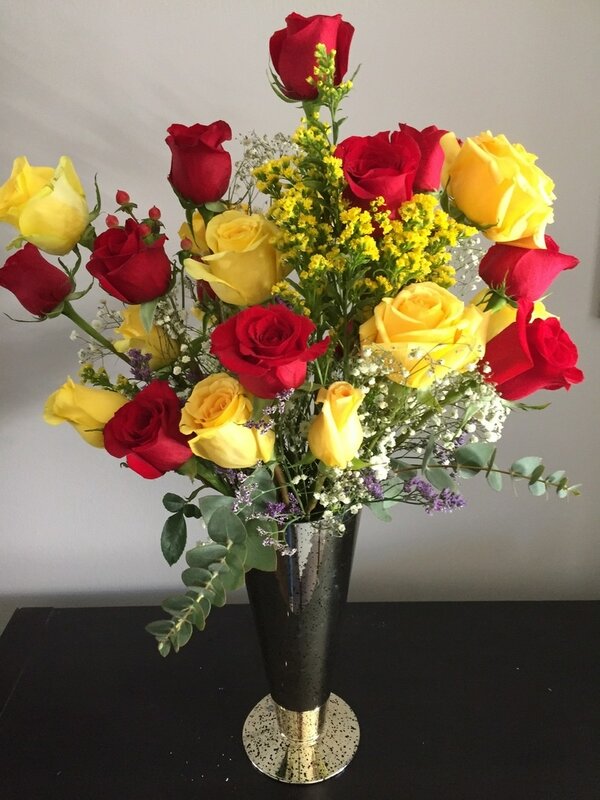 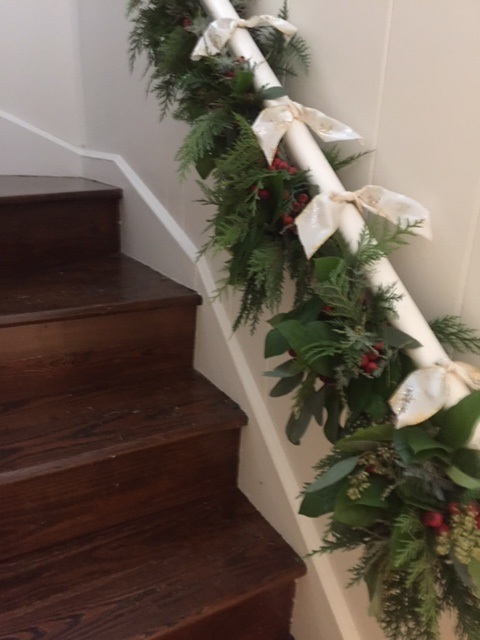 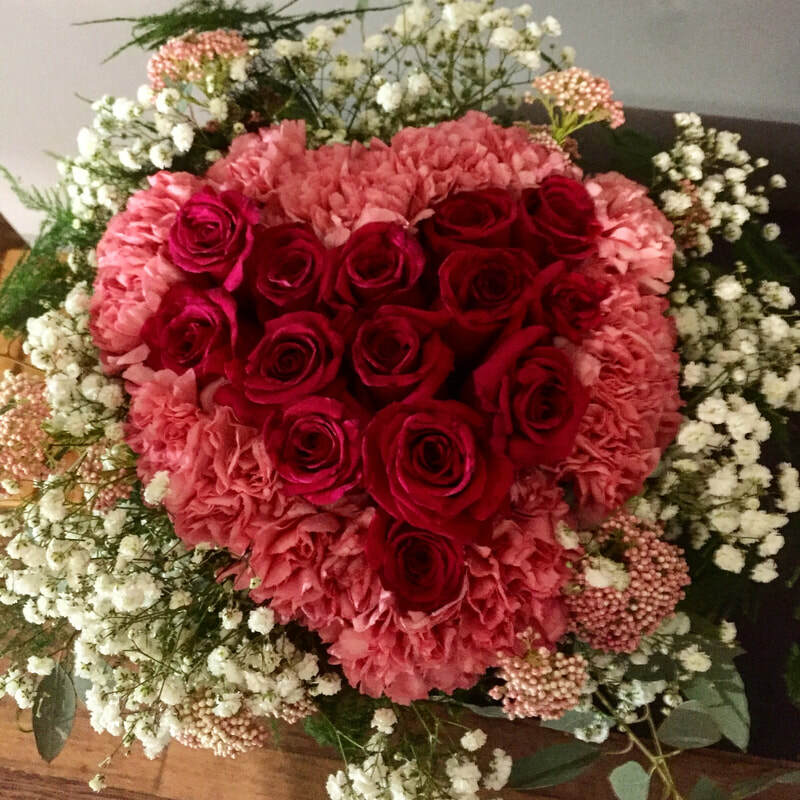 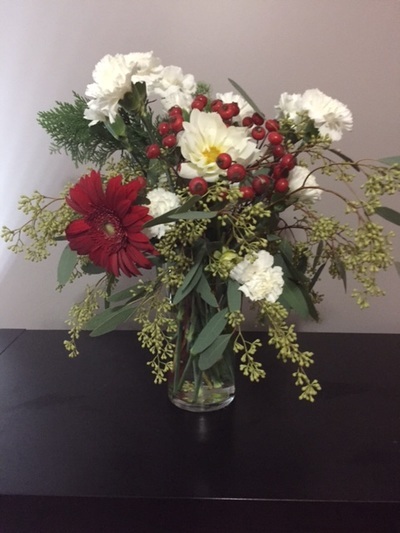 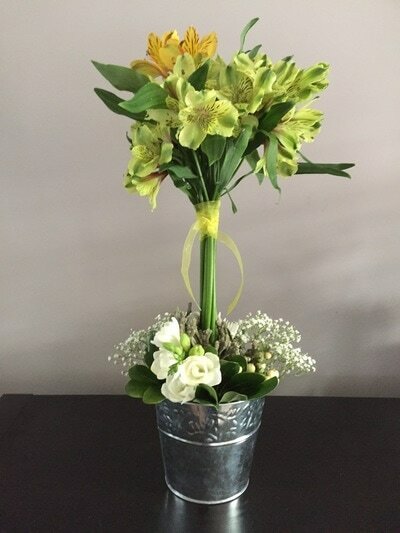 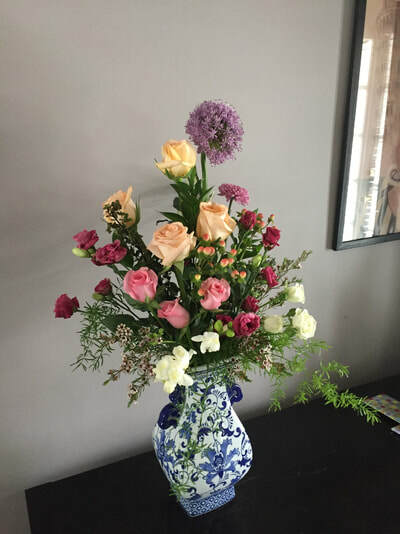 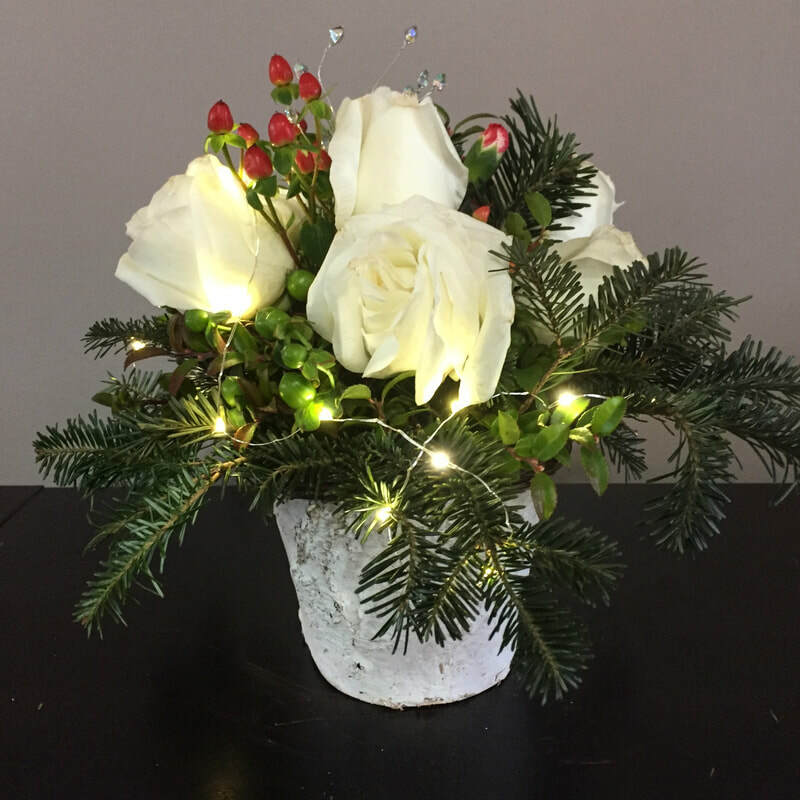 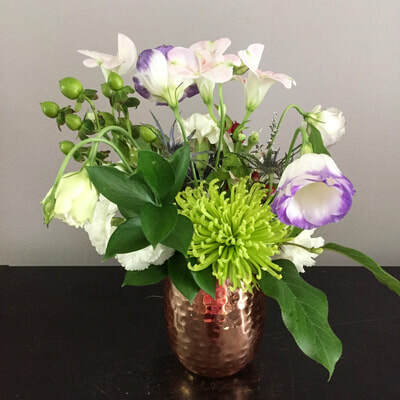 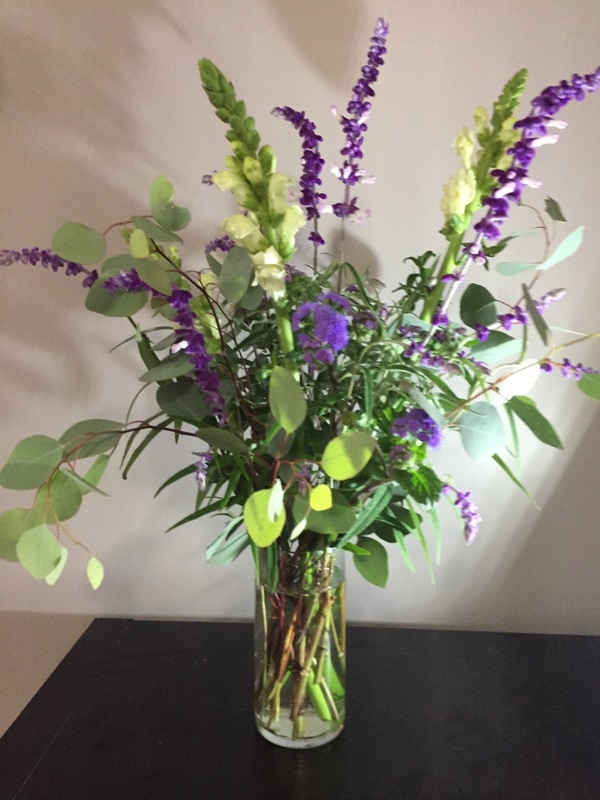 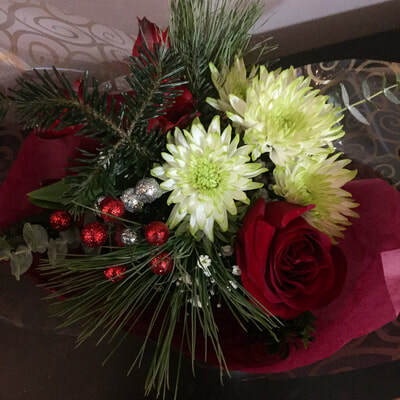 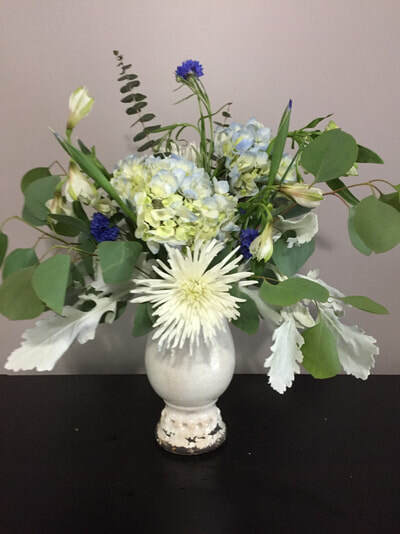 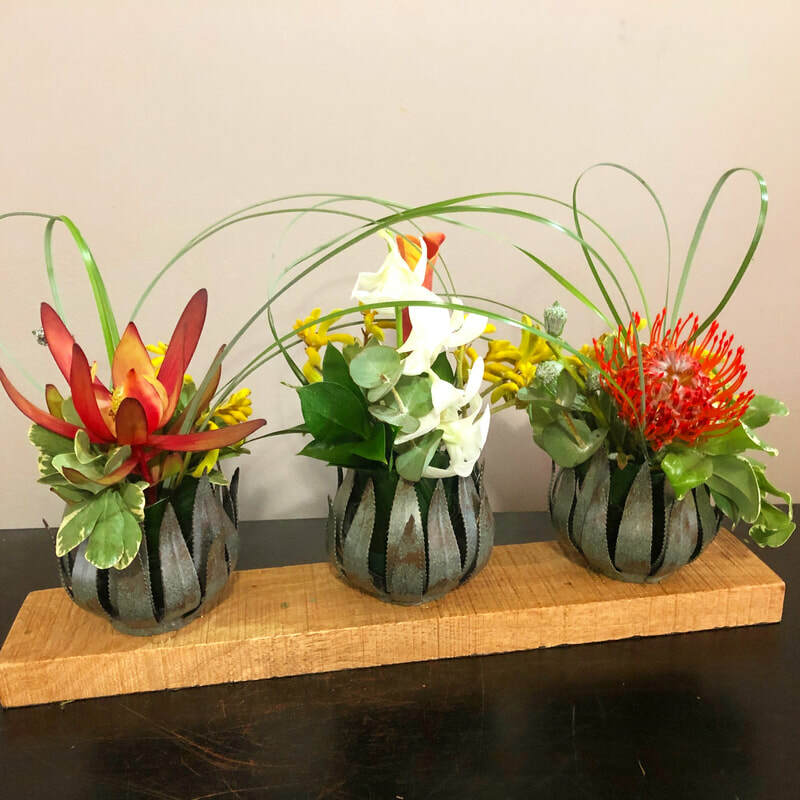 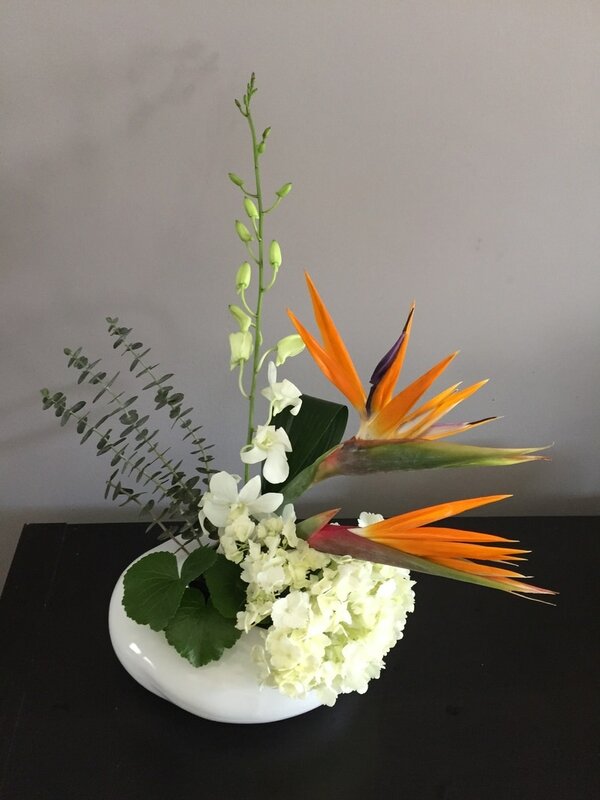 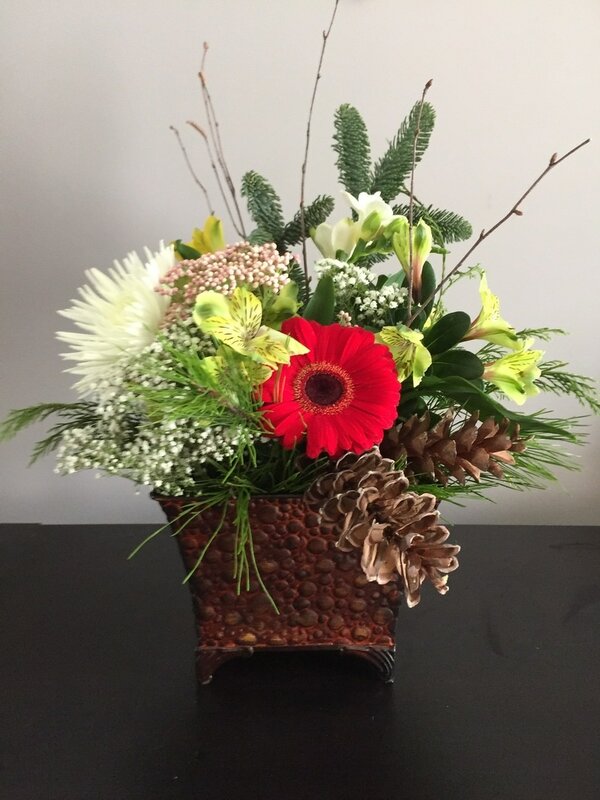 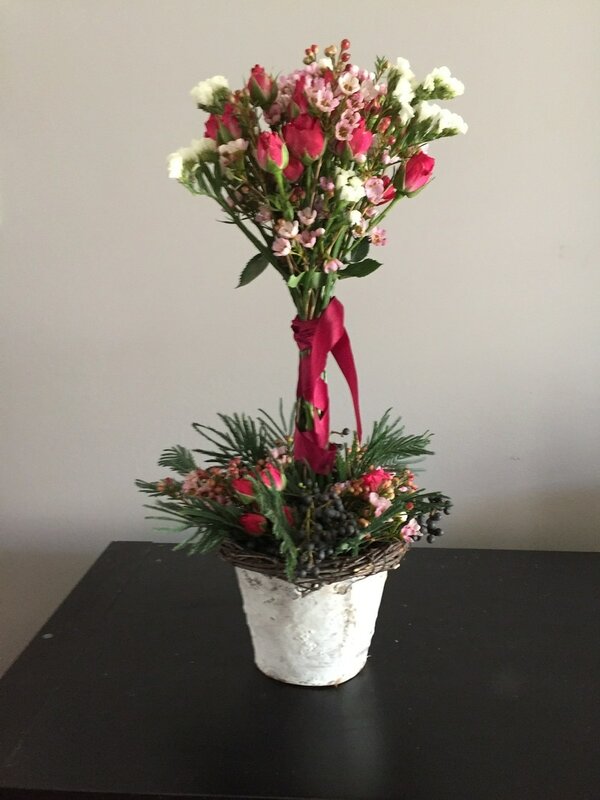 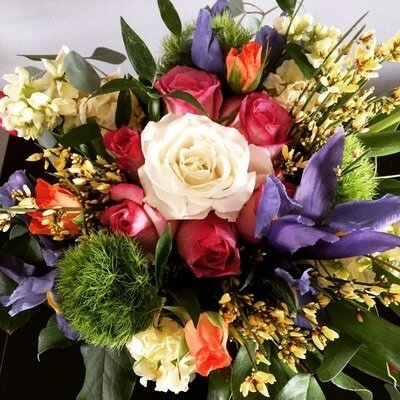 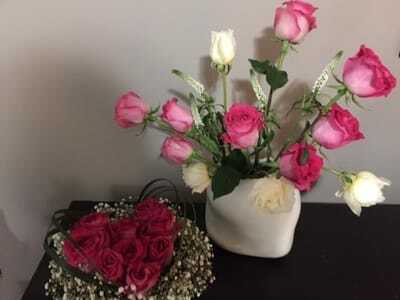 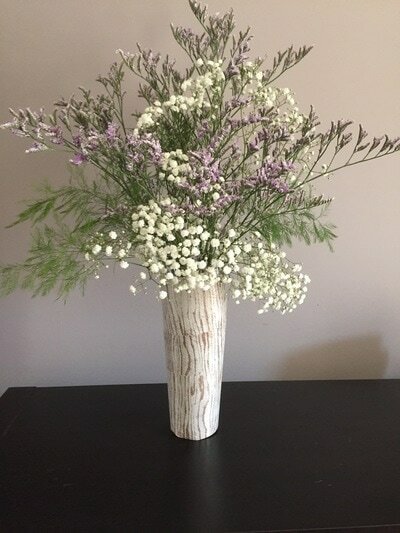 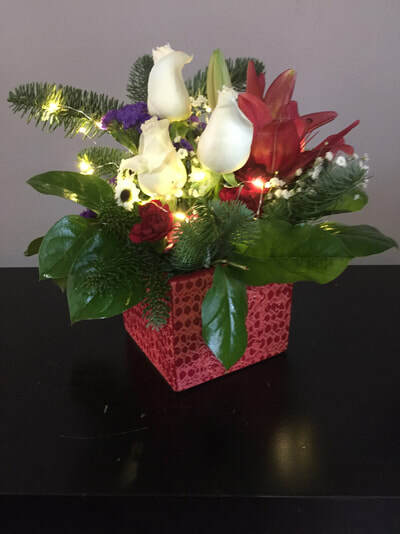 And go beyond this gallery page.... each of our pages has different flower arrangements and our Instagram site is updated almost daily. There is so much more in our repertoire but hopefully you'll get an idea. 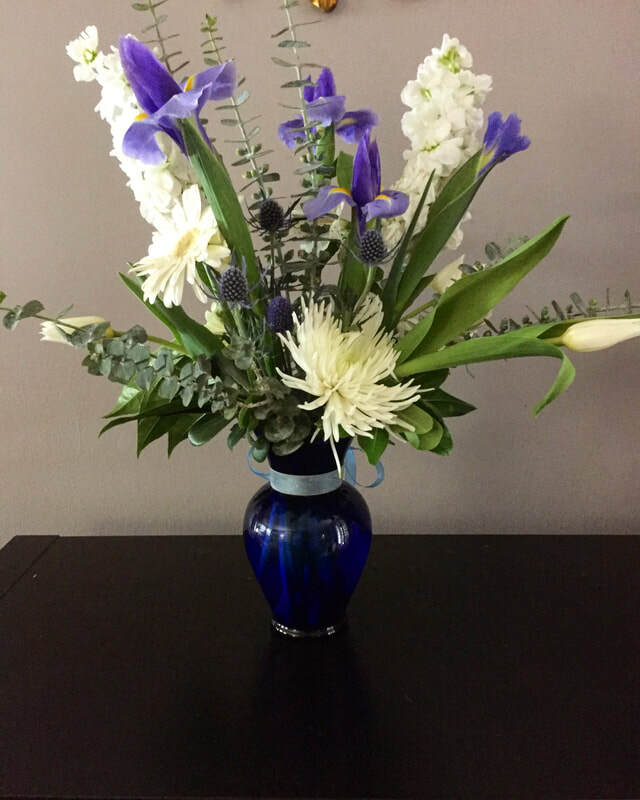 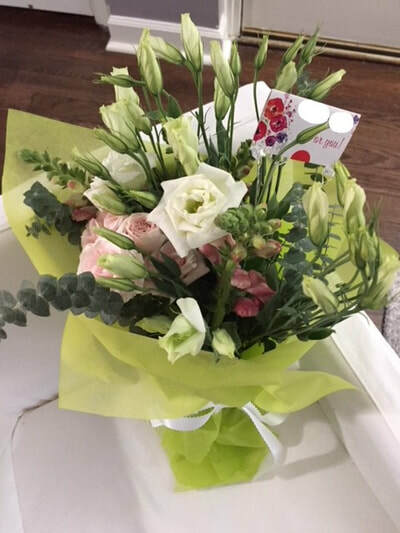 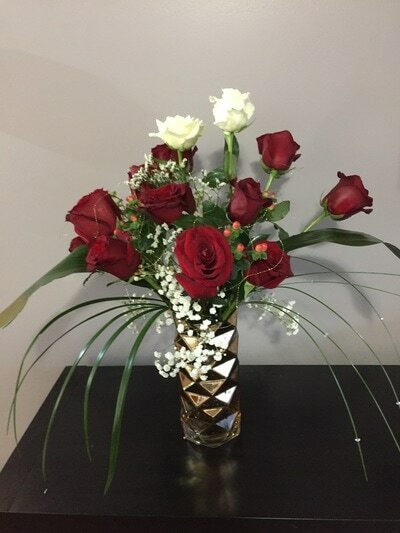 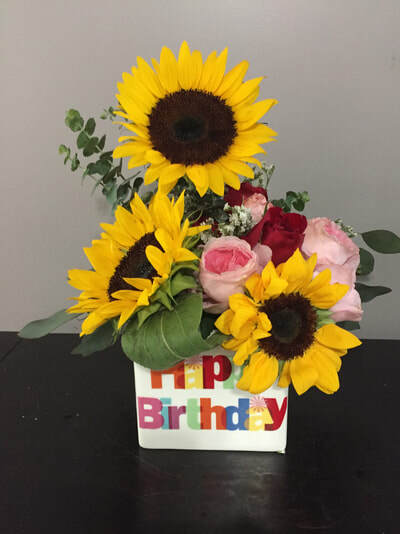 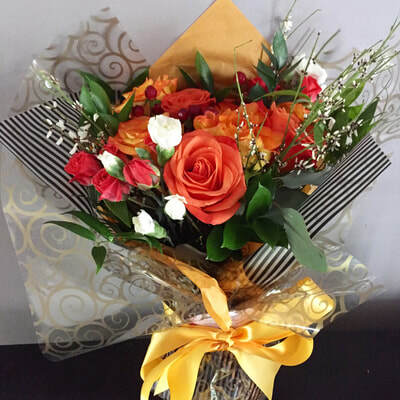 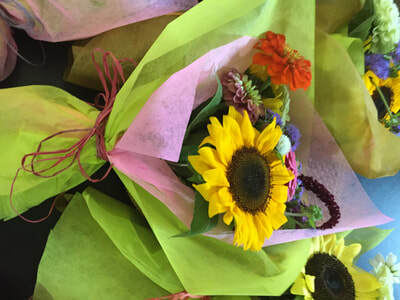 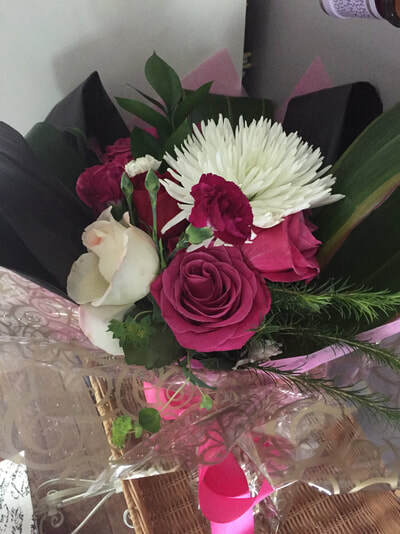 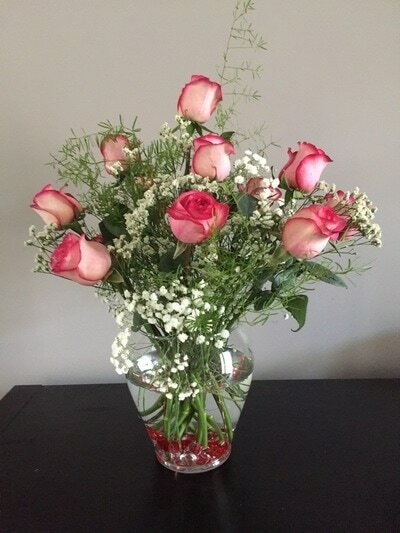 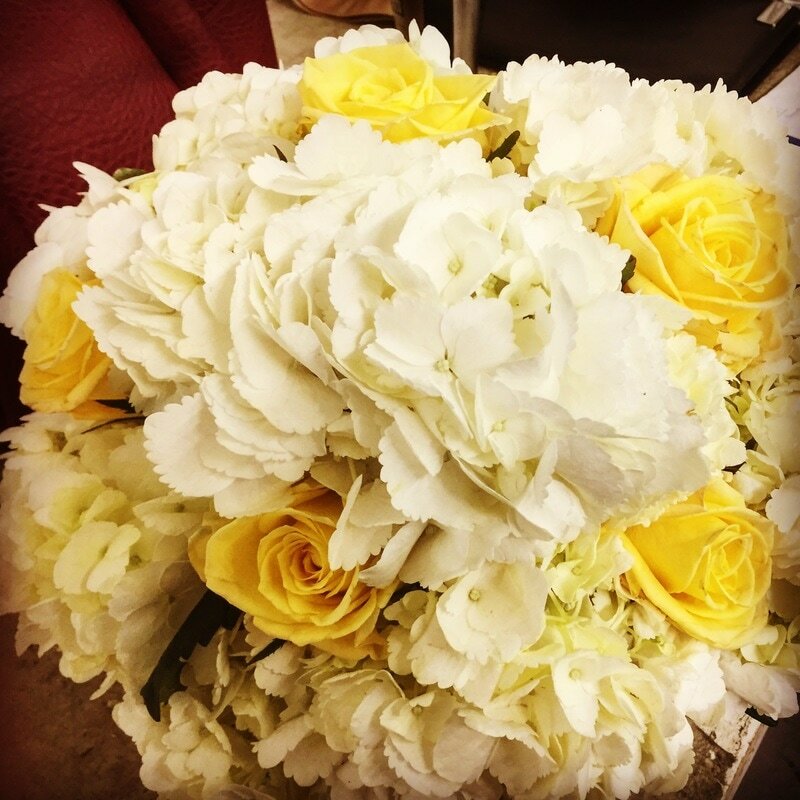 Enjoy browsing and let us know how we can help make your flower wishes come true! 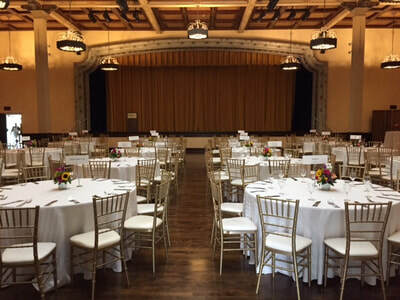 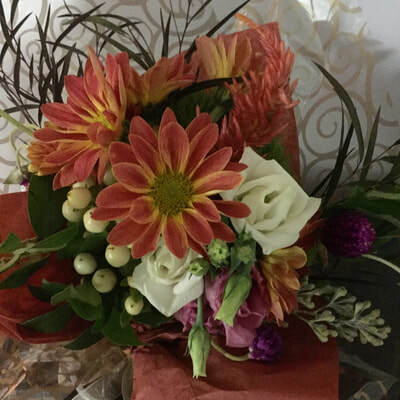 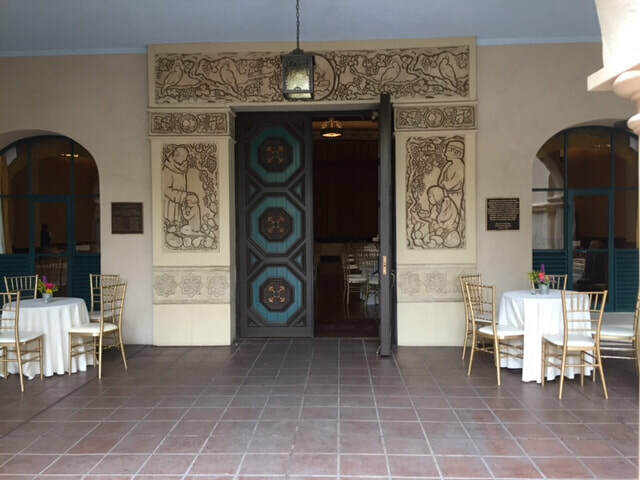 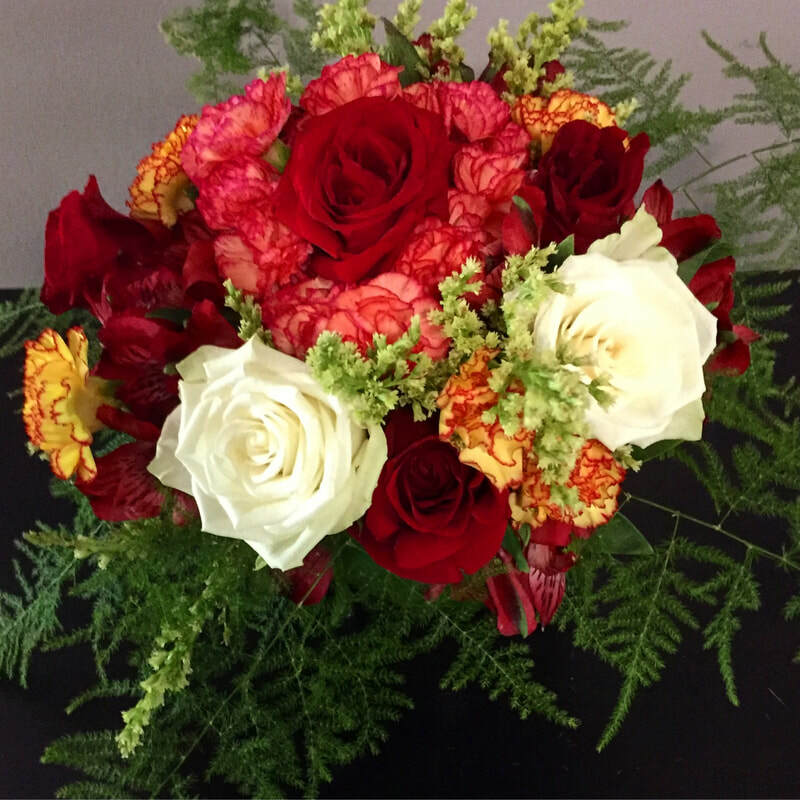 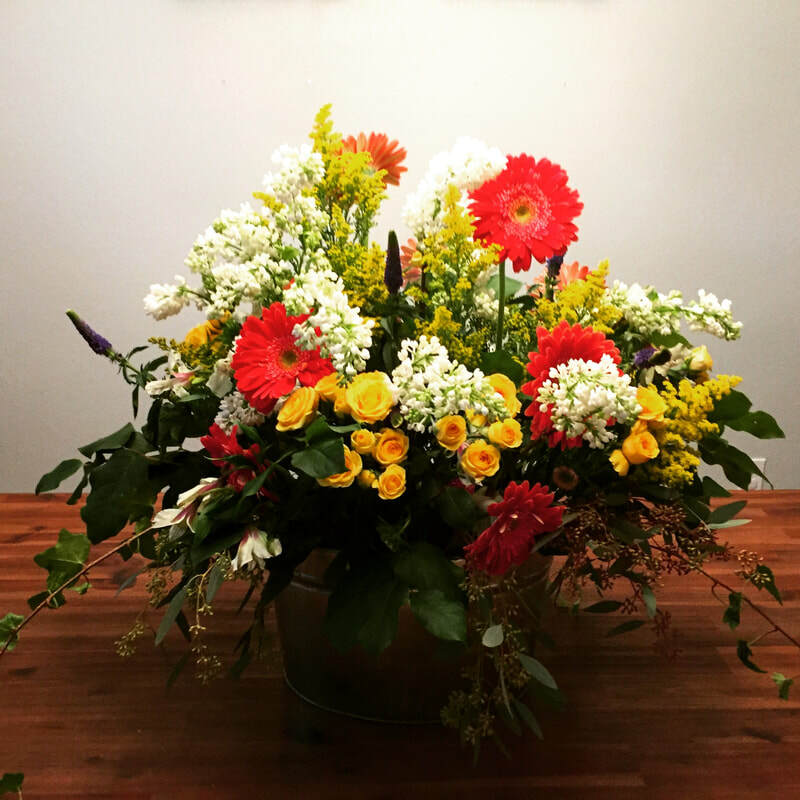 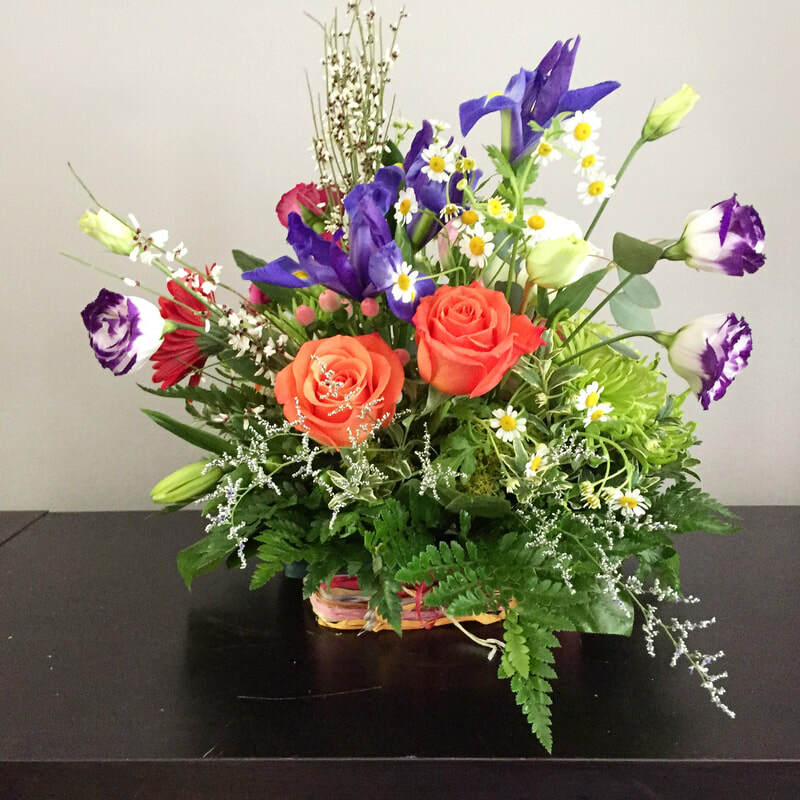 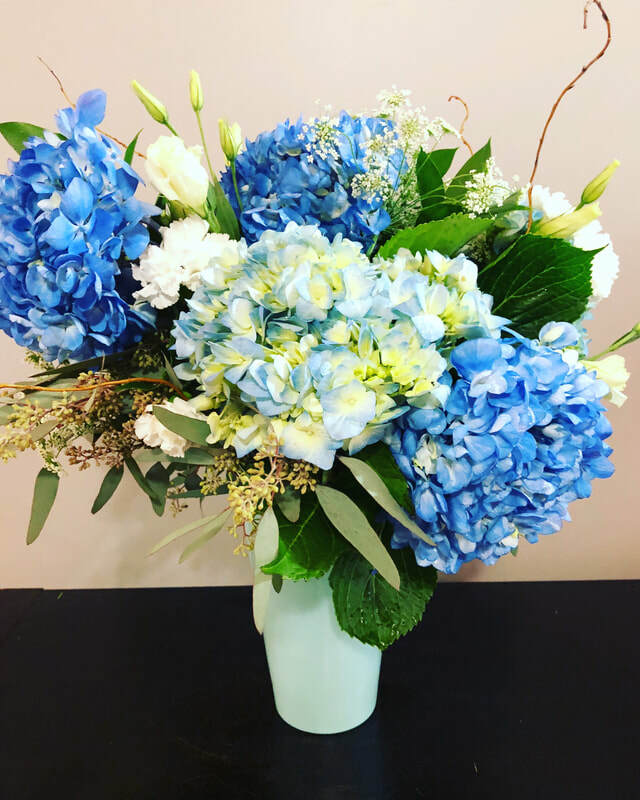 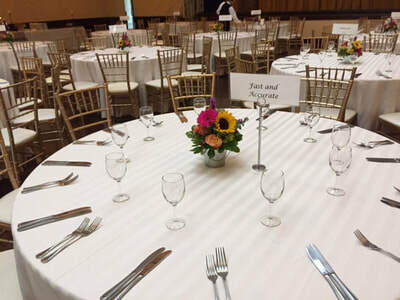 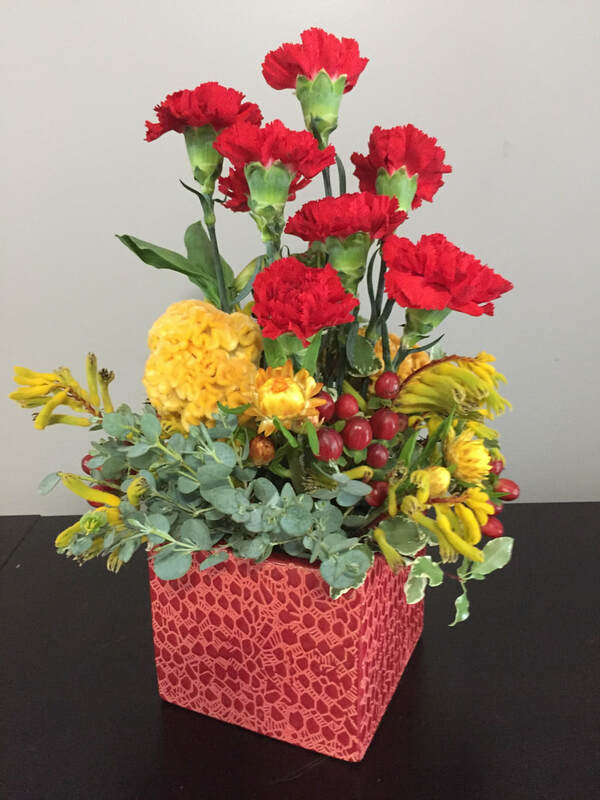 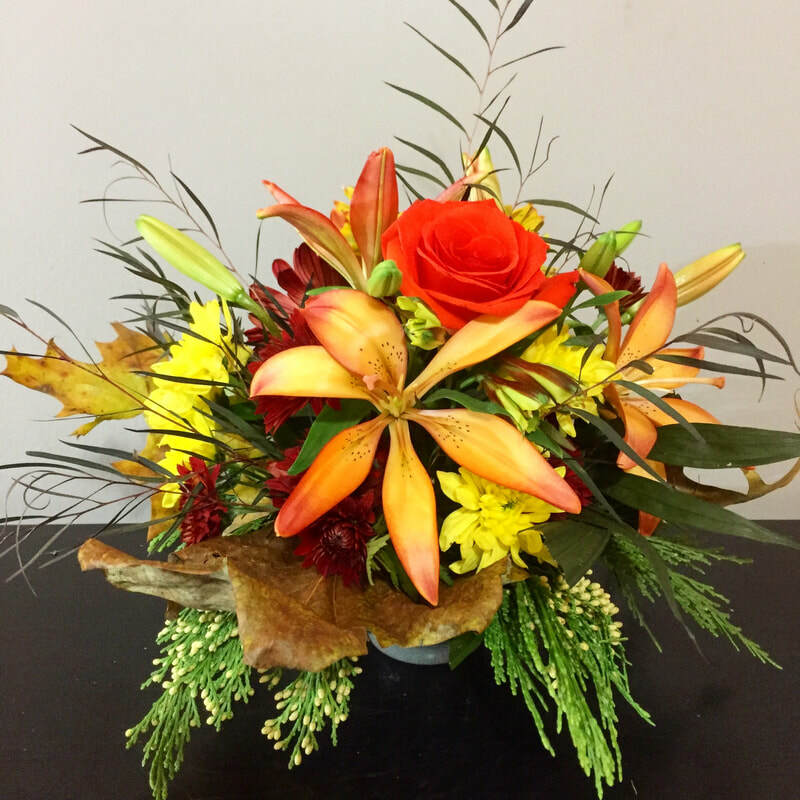 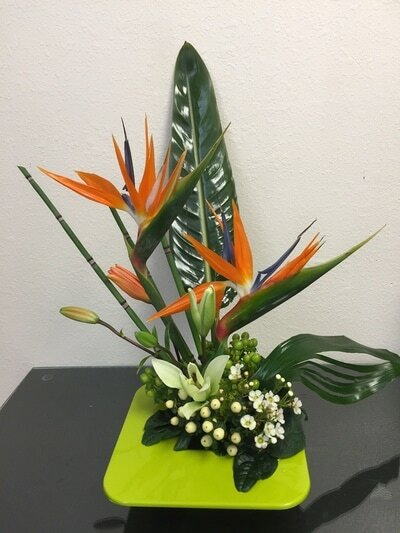 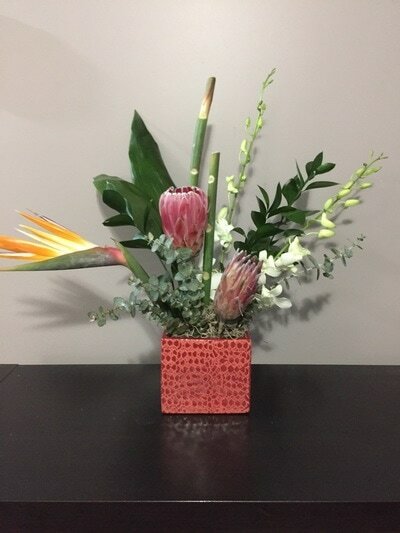 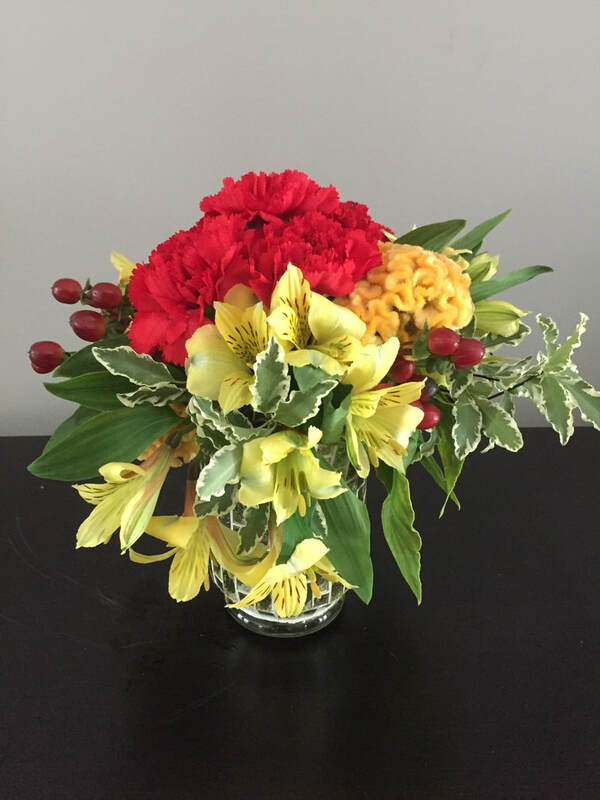 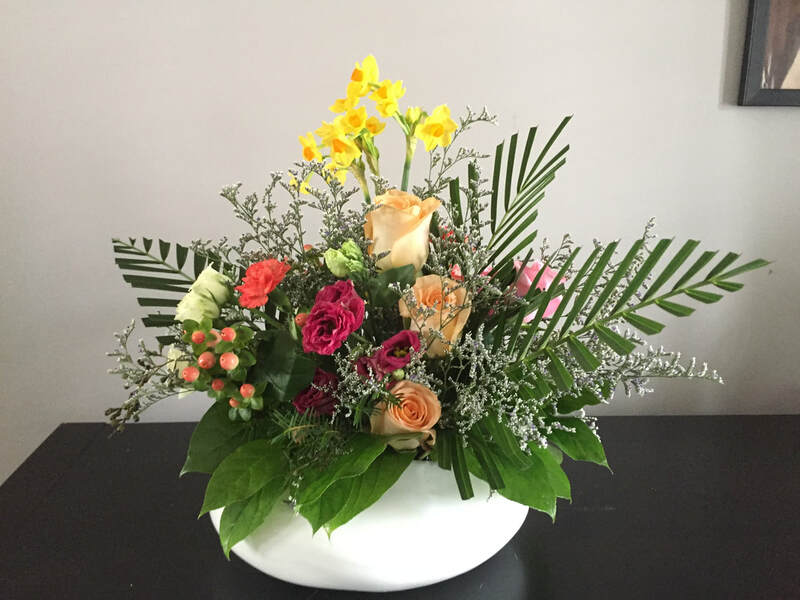 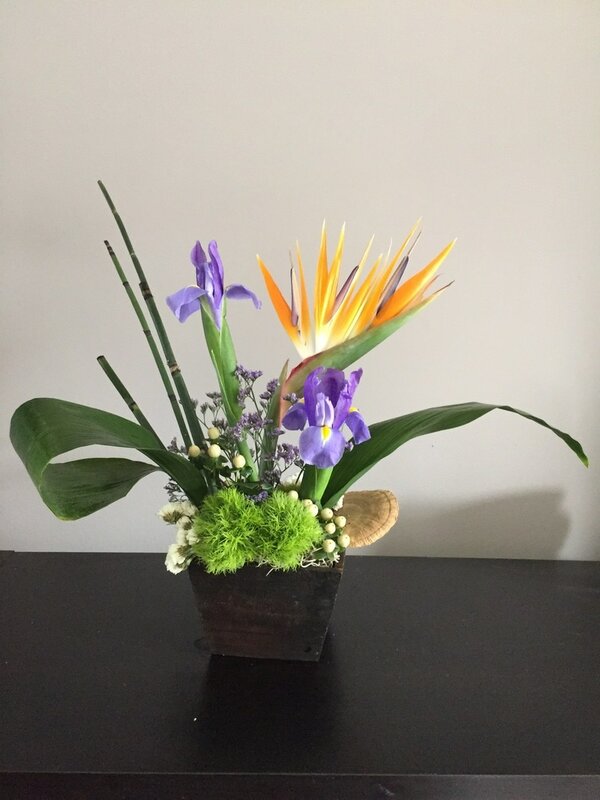 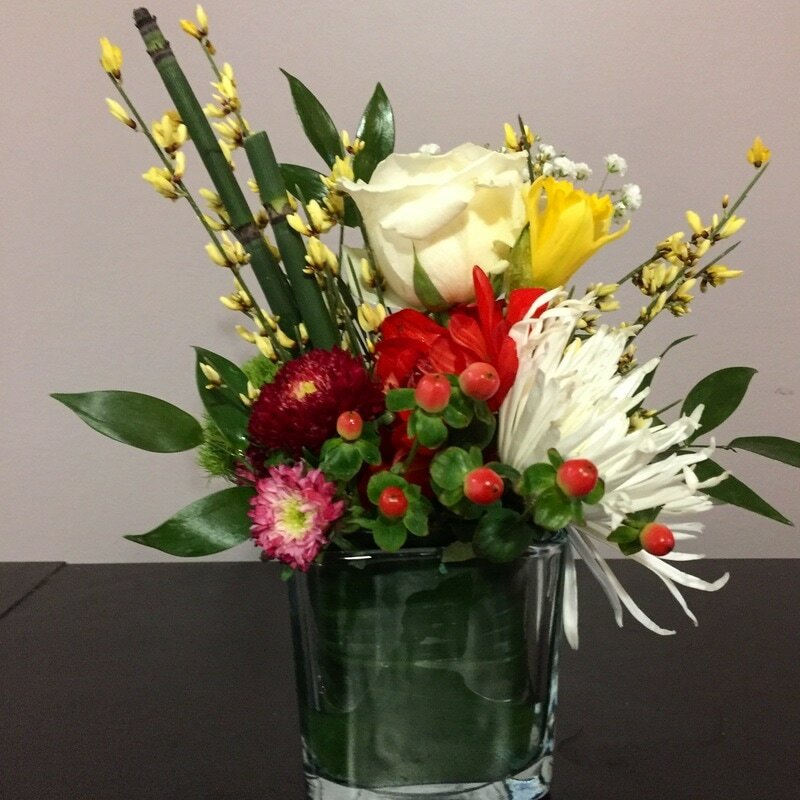 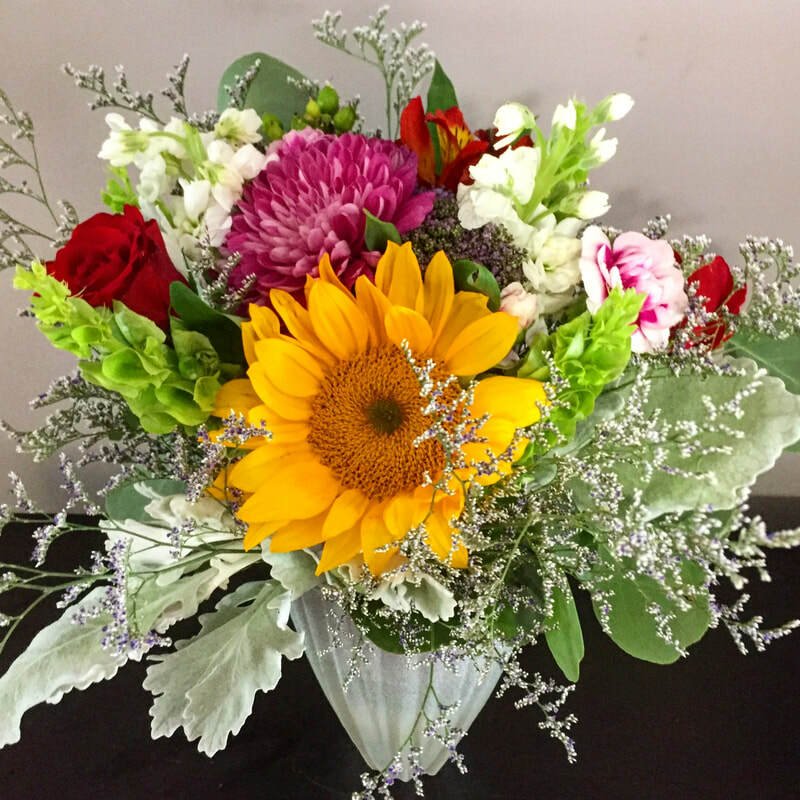 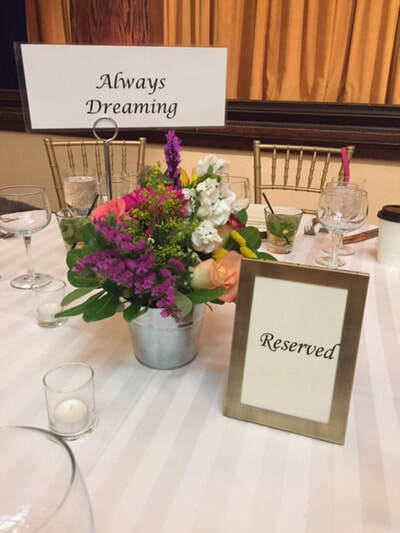 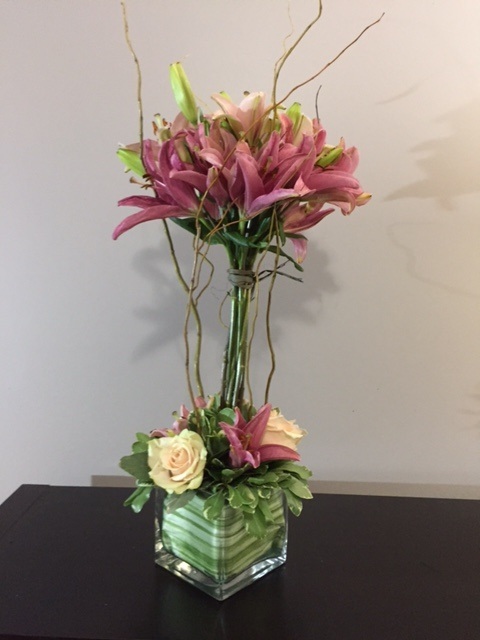 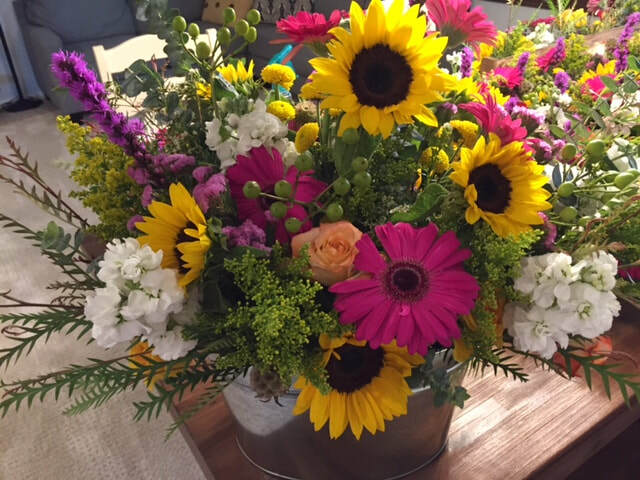 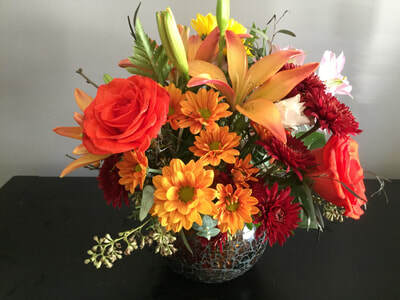 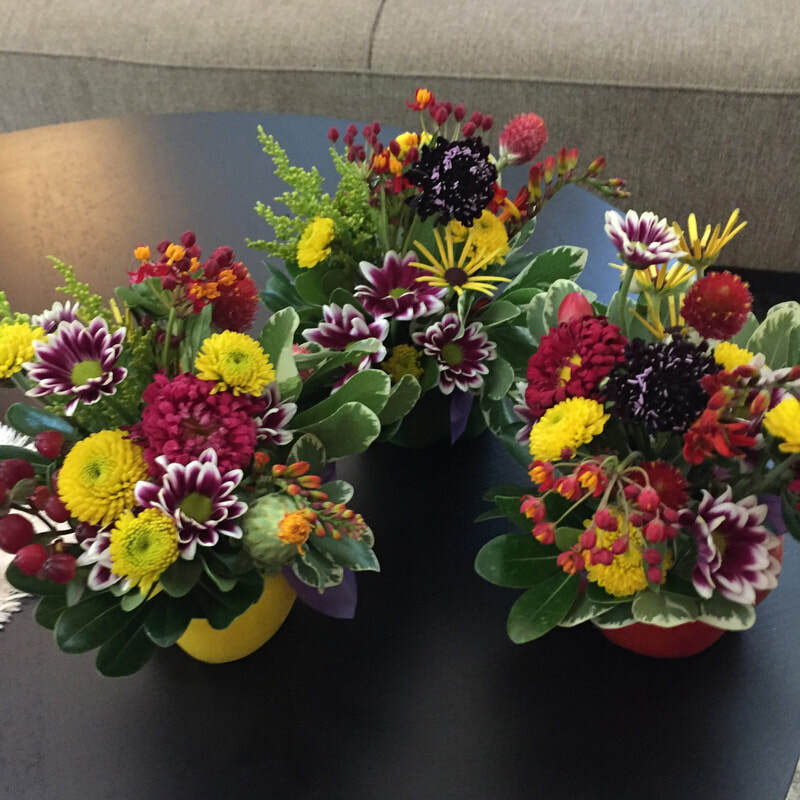 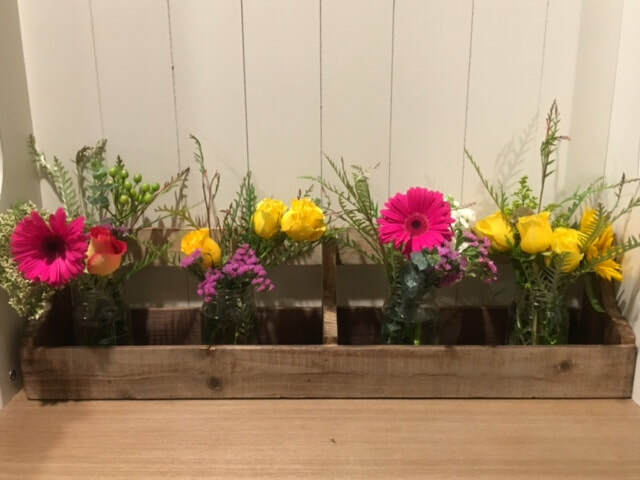 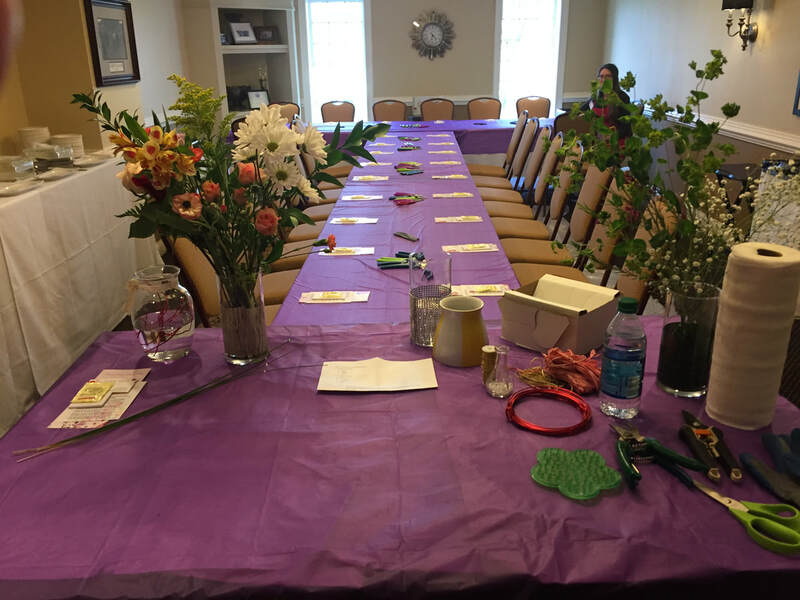 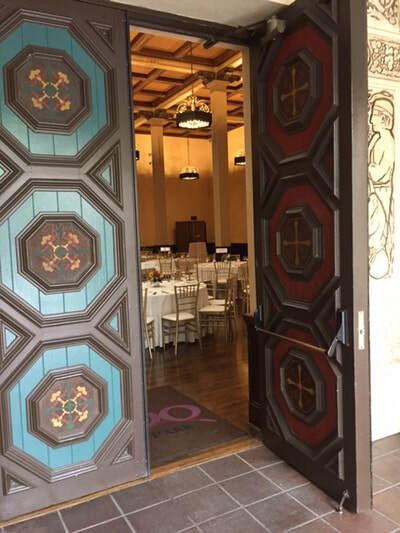 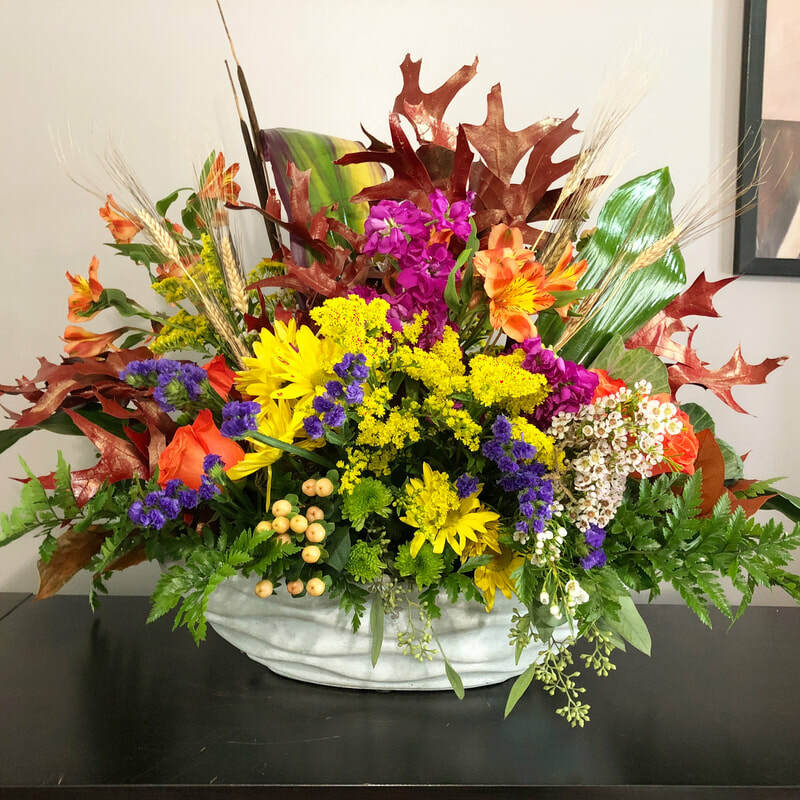 ​Be that a Foundation Appreciation Dinner, private celebration or club get-together, we will help you realize your floral vision! 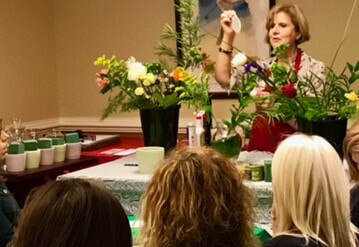 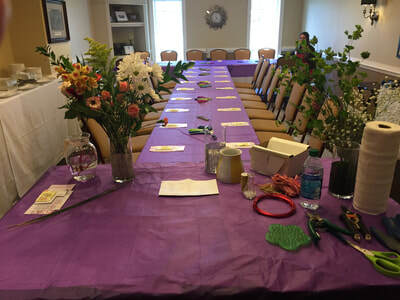 We bring the flowers, the supplies and design technique - participants bring creative talents - so much fun for all! 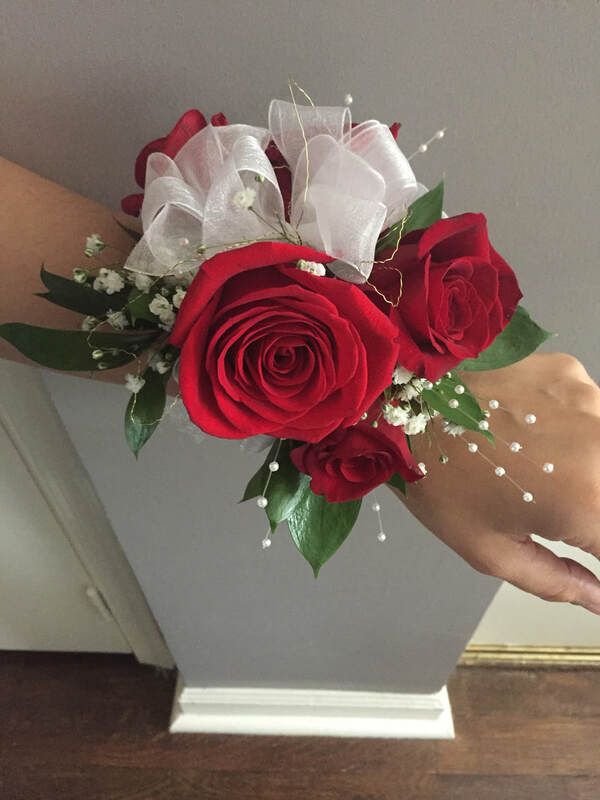 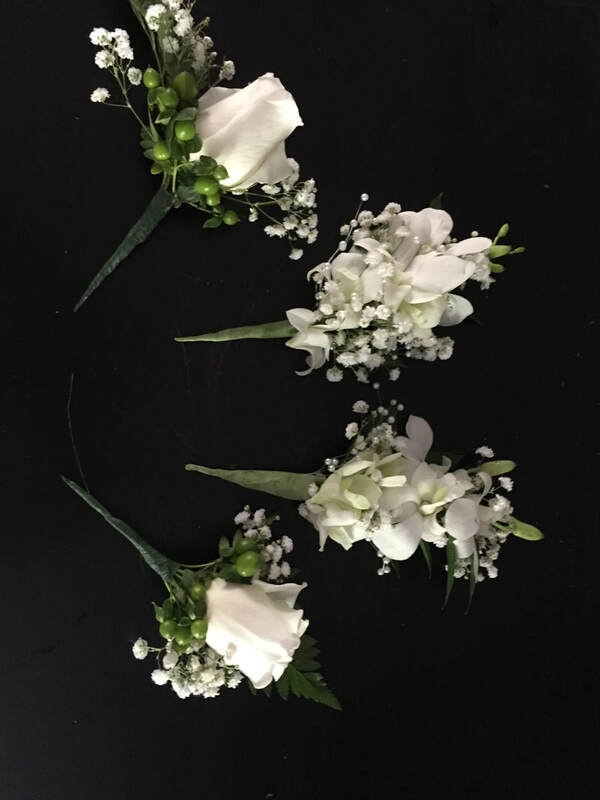 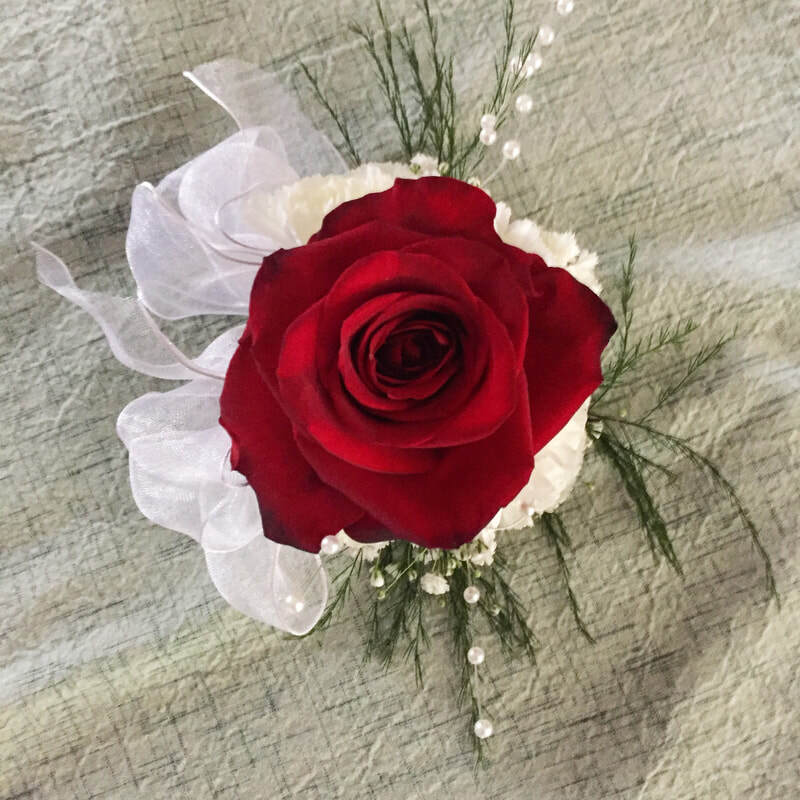 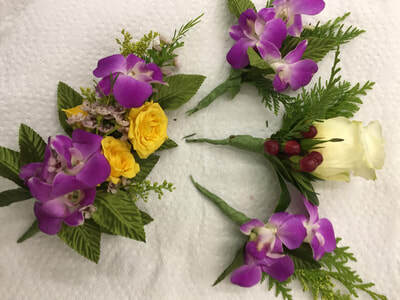 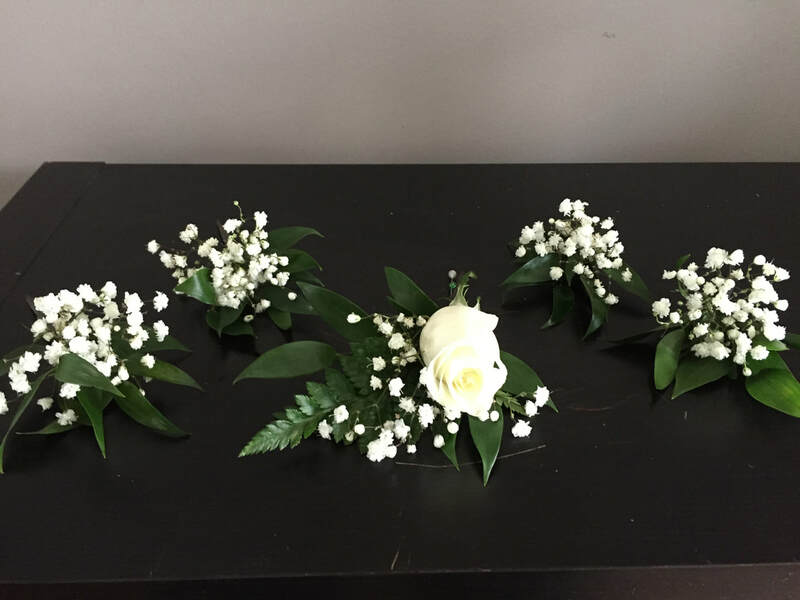 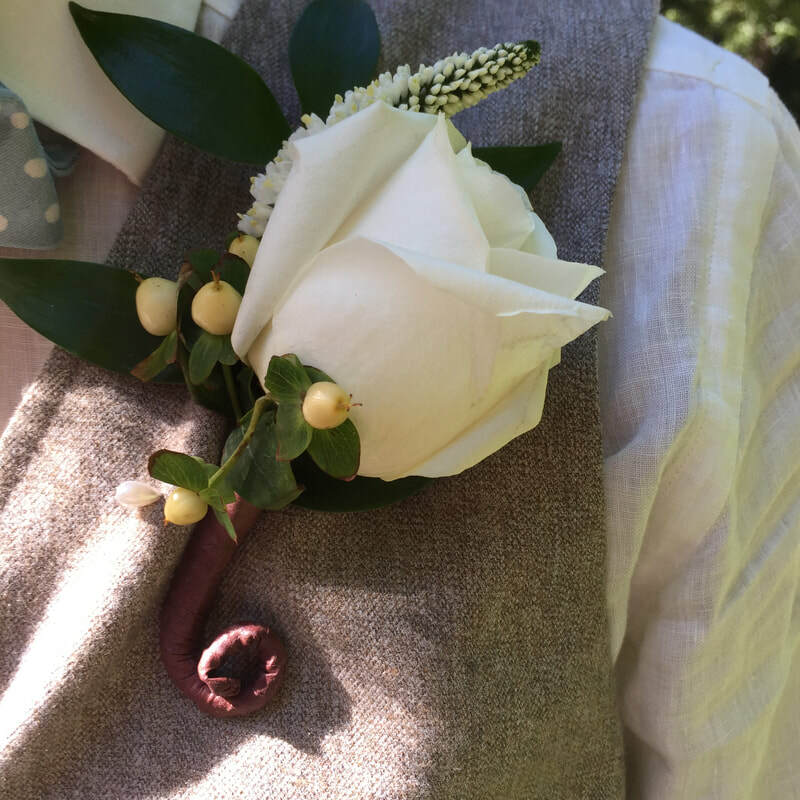 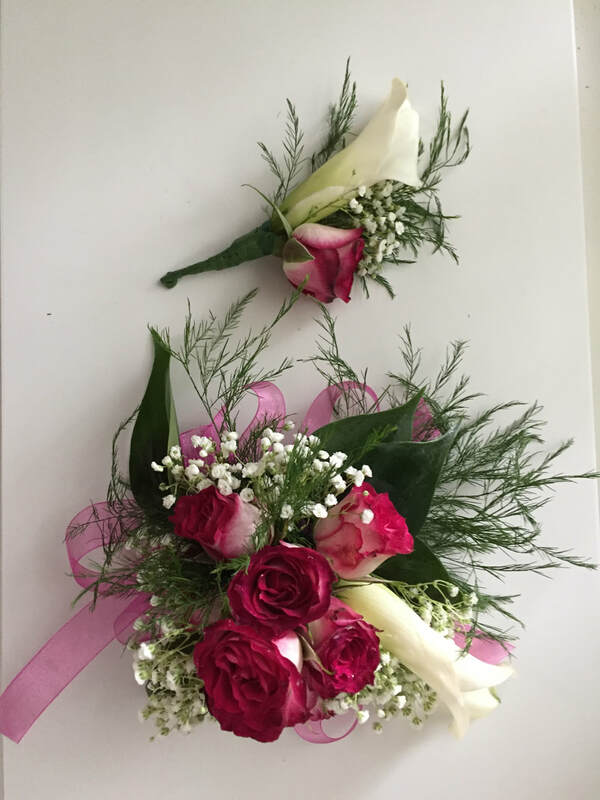 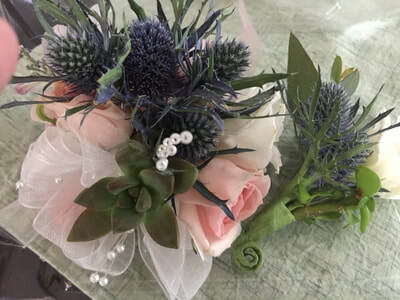 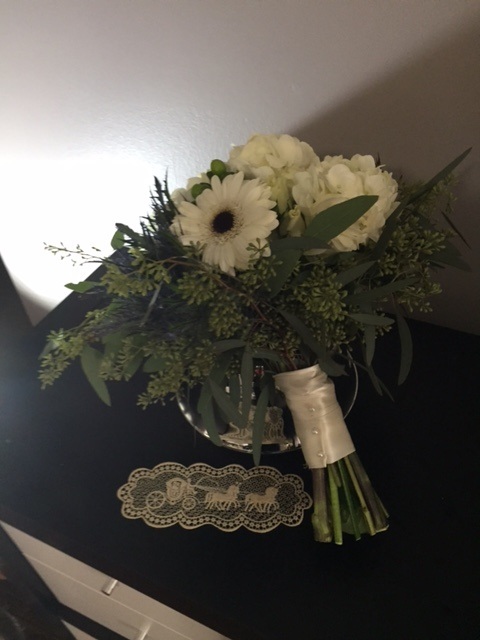 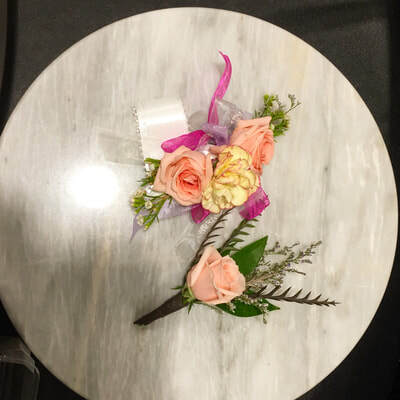 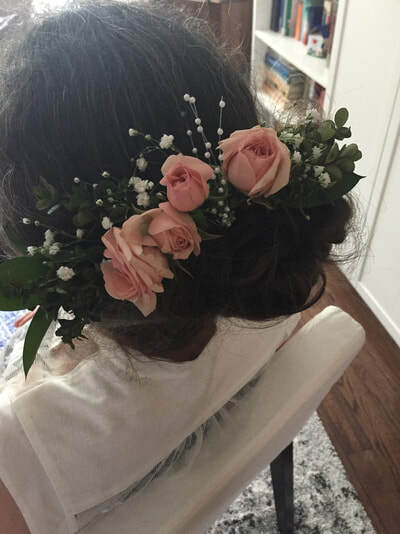 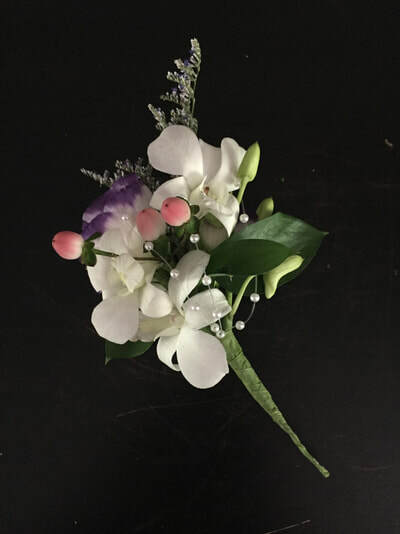 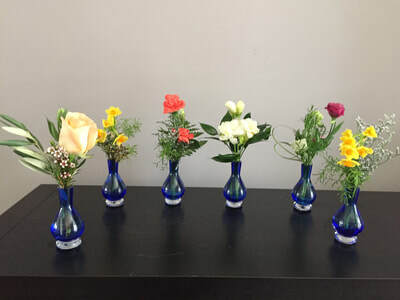 Corsages and Boutonnieres - we design with you! 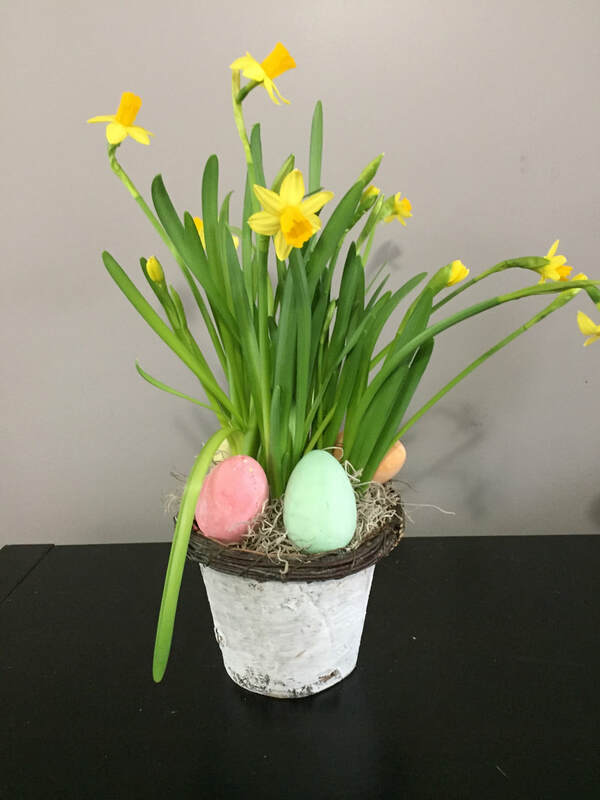 Have fun - you can do it! 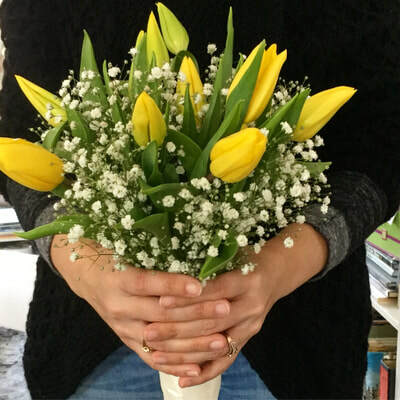 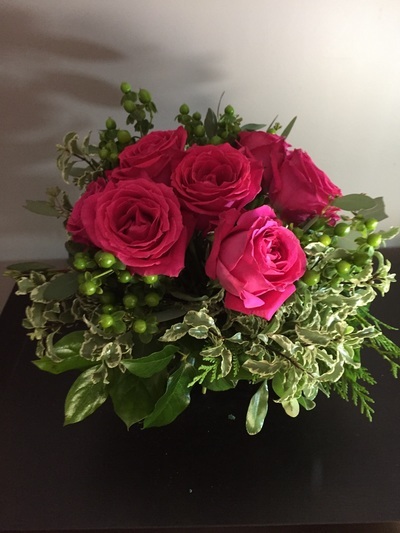 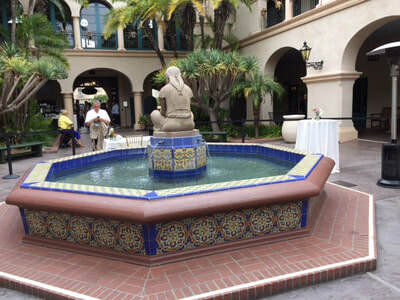 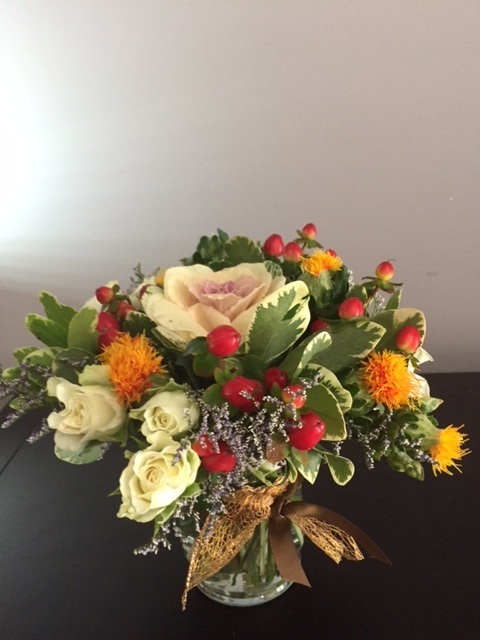 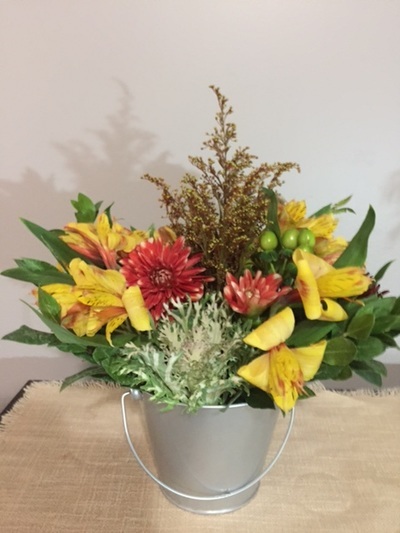 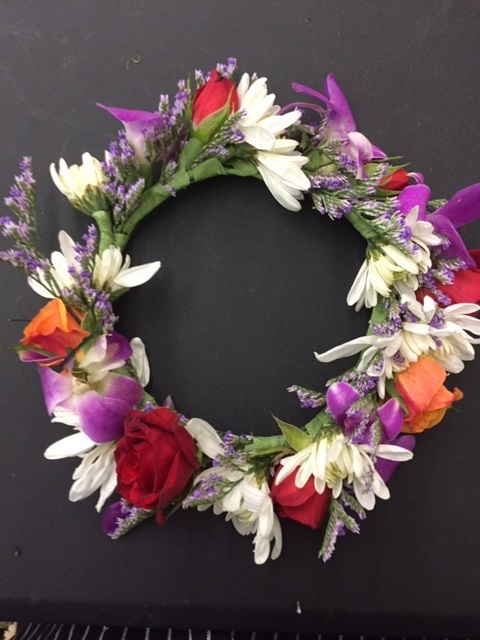 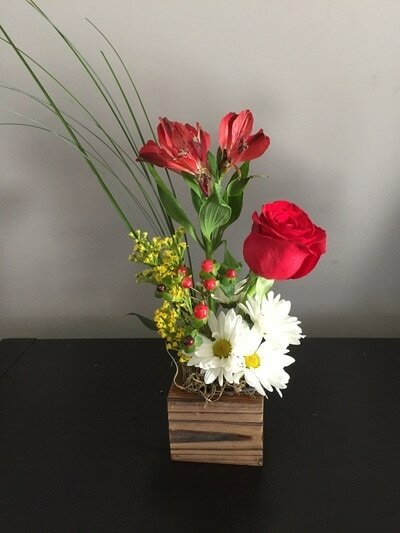 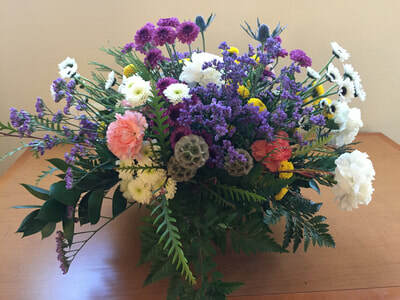 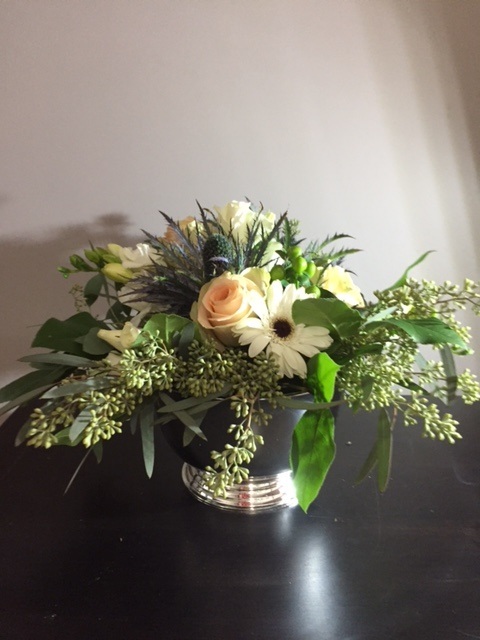 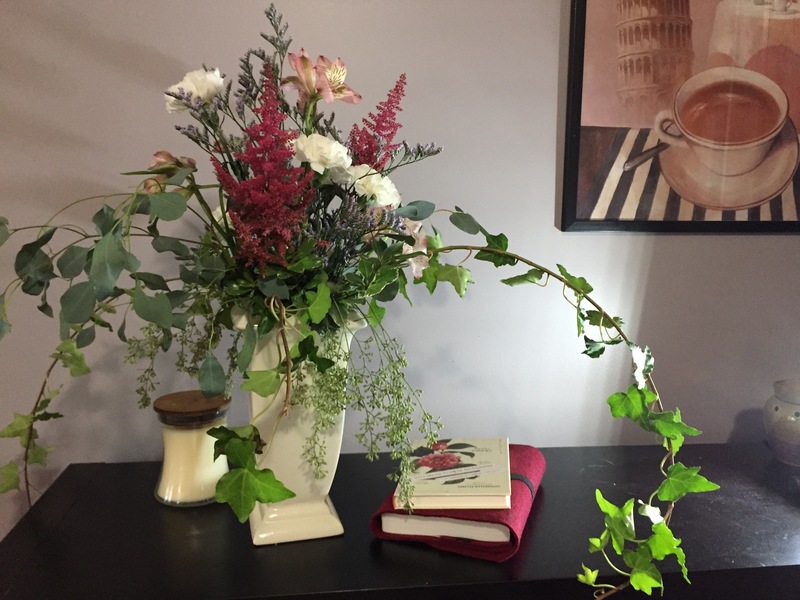 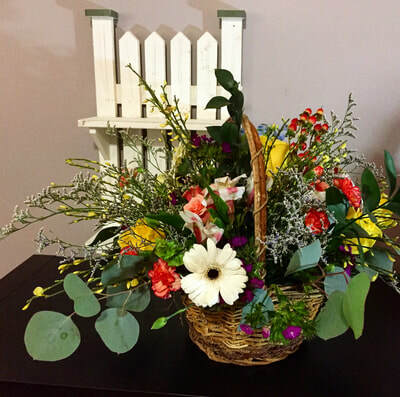 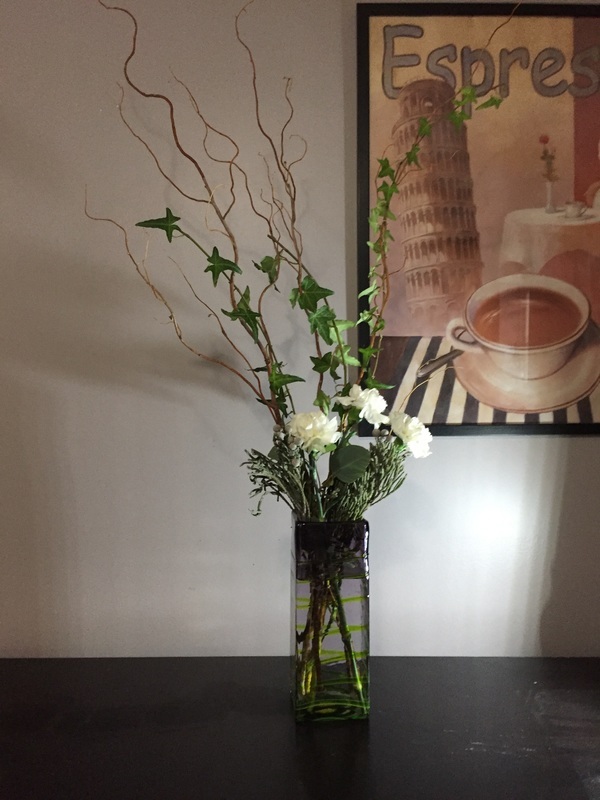 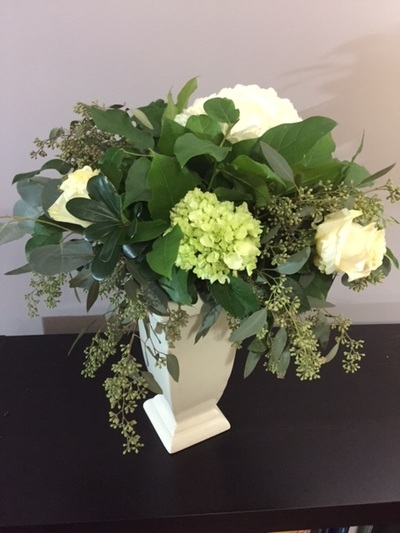 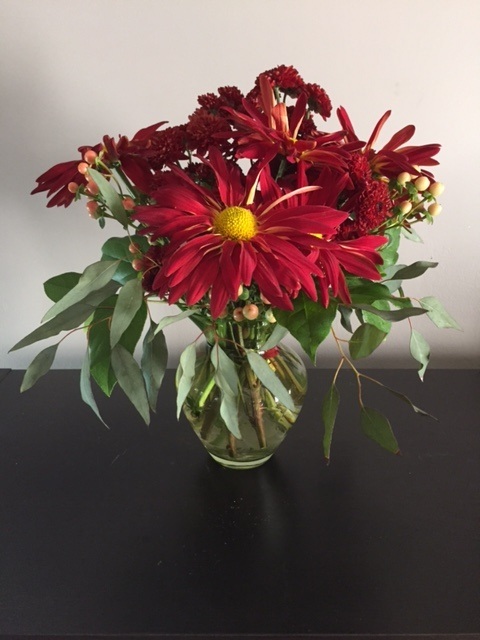 Floral Focus By Design is here for you!